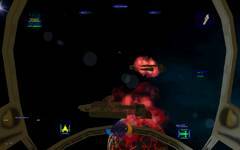 Think you've played every possible version of Wing Commander III? 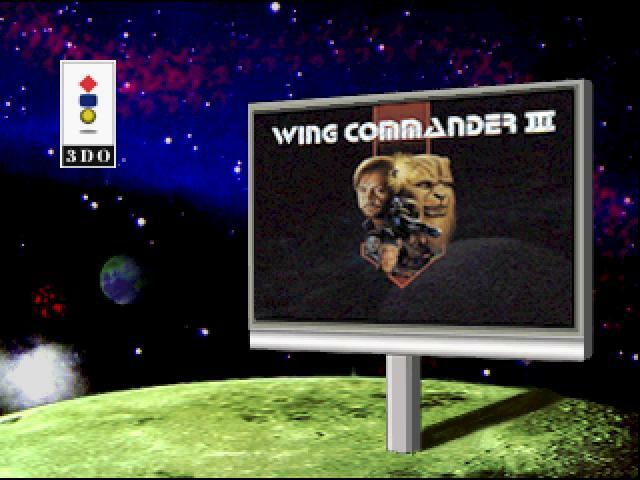 Well, think again -- because we've found a copy of the Wing Commander 3 3DO Demo! 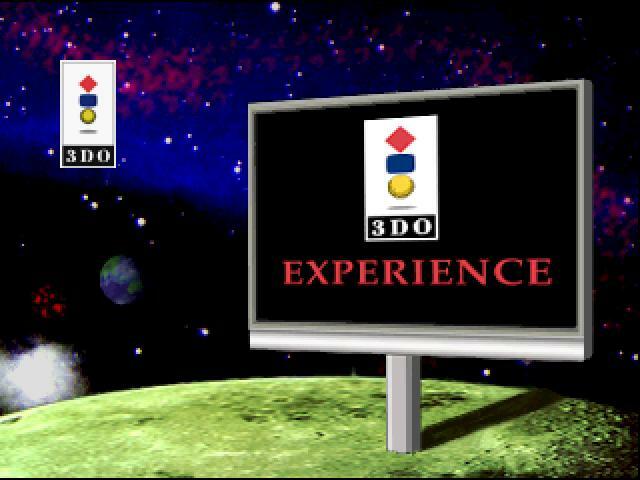 This playable demo was published in 1995 as part of 3DO Interactive Sampler #3. The file is a zipped ISO - 3DO owners can burn it to an ordinary CD-R and play! So dust off your Interactive Multiplayers and take the fight to the Kilrathi one more time. The file is very large, 350 megabytes, because there's no way to separate the demo from the others on the disc. 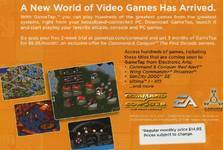 That means you'll also be downloading demos of Flying Nightmares, MEGARACE, PaTaank, PO'ed, Return Fire, Triple Threat Shanghai, Slope Style and Station Invasion, a 3DO storage manager and trailers for Gex and Slam 'n Jam '95. Unfortunately, no 3DO emulator is yet capable of playing Wing Commander III... but the demo will still be available here when emulation technology catches up! You can download 3DO Interactive Sampler #3 here. The CIC is a Demo-Cracy! Don't have a 3DO? Well, don't worry -- there's demos enough to go around. The history of playable Wing Commander demos is rich and interesting. 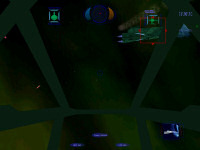 The first was a 1994 demo of Wing Commander III (here - 29 megs), initially released on the first ever PC Gamer cover CD. 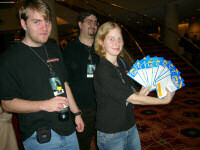 Demand was very high - PC Gamer ran out of CDs quickly and the demo was very rare for several years. 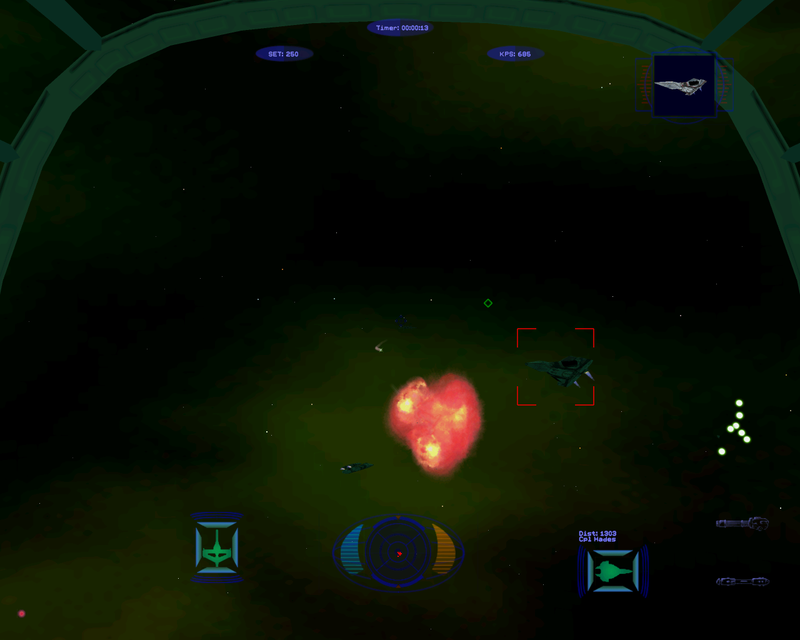 The demo is a unique patrol mission, which plays slightly differently than the finished game. 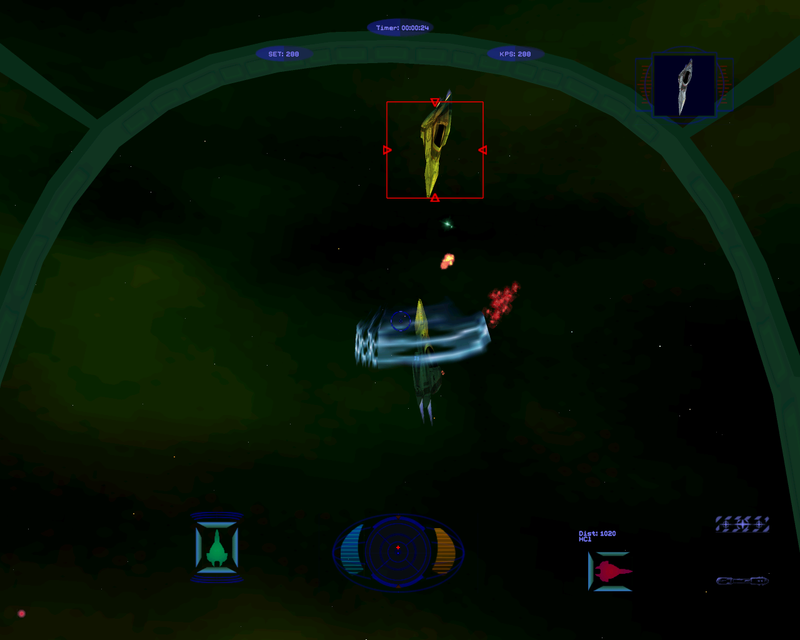 Several versions of the Wing Commander IV Demo exist. The first included a cinematic trailer and was released on magazine cover discs (here - 43 megs). 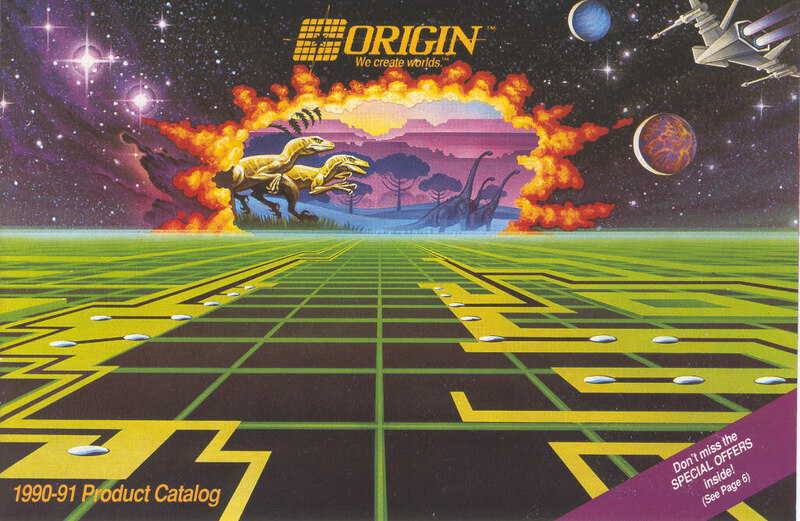 That was a huge file for an era when ordinary people didn't have CD burners or fast internet connections... so Origin later released a smaller internet version with the trailer removed (here - 14 megs). Even that seemed like an impossible download at the time, though! The mission is a fun gauntlet where you have to shoot down as many pirate fighters (and frigates) in a set time limit. 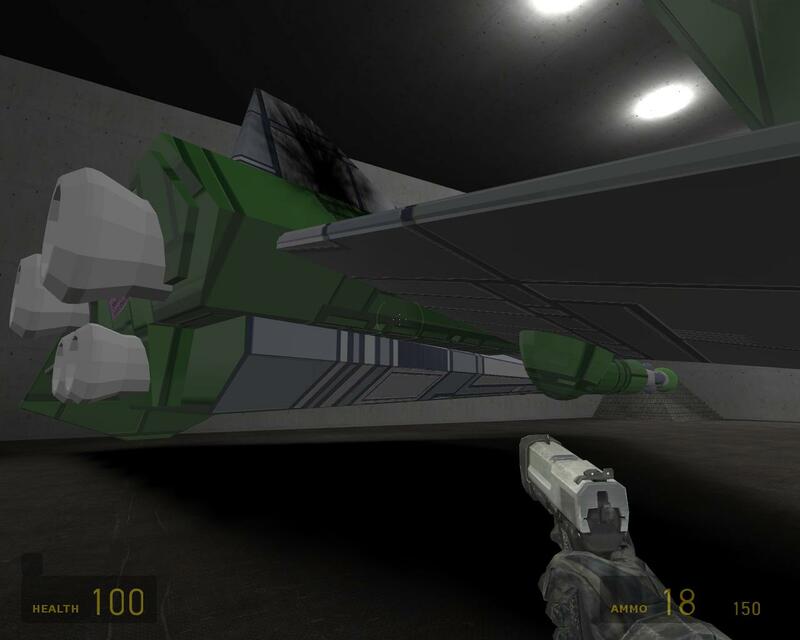 There's a neat easter egg, too -- lock onto Dekker's shuttle for a few seconds to recieve a special weapon. 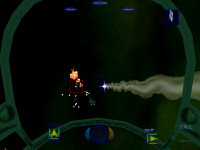 A Macintosh version was later released (here - 6 megs). Then came a little known demo - a playable preview of Privateer 2 (here - 54 megs). 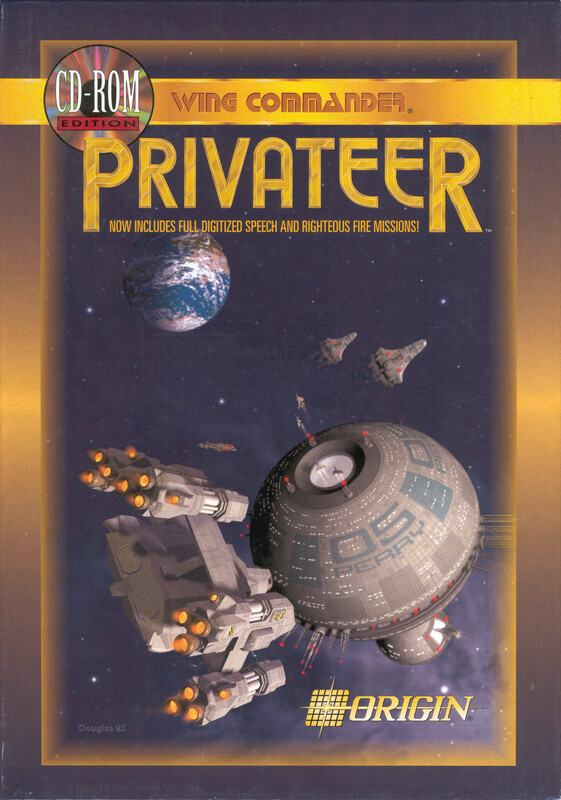 The Privateer 2 demo was never released online by Origin - it only appeared on a magazine cover disc. The demo does not have a new mission... instead of lets you explore the entire game universe for a limited amount of time. It's most interesting because it contains two short video clips not included in the original game, greeting Joe the Bartender. 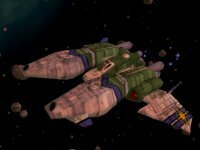 Wing Commander Prophecy took demos even further -- with two different demos and a total of six unique missions! 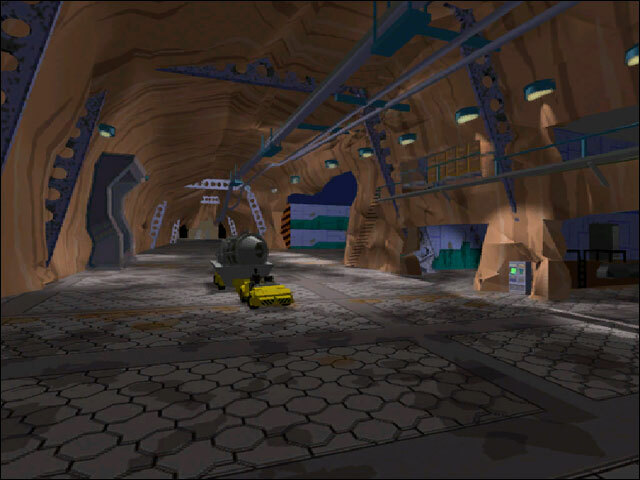 Origin initially released a '3Dfx Test' demo (here - 13 megs) to let users who had 3Dfx cards see what the game was going to look like. 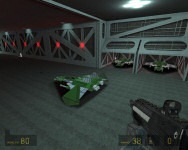 The 3Dfx Test is a timed, scored gauntlet, which lead to fierce competition among fans lucky enough to have the special graphics cards at the time. 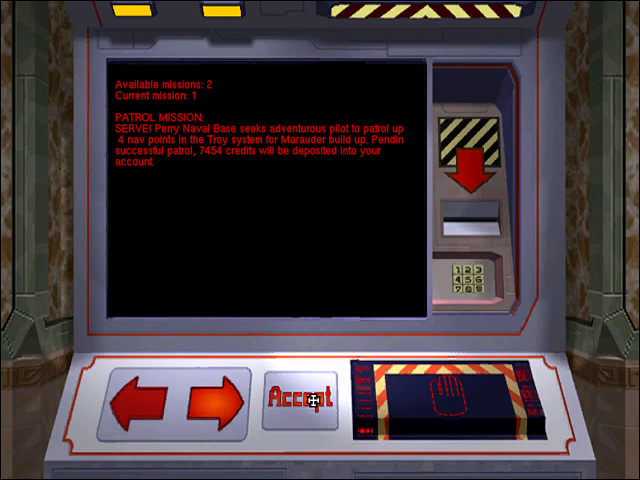 Then, an entire series of missions was made available to everyone. The Wing Commander Prophecy Demo (here - 38 megs) contains an entire four mission series which takes place 'between' other missions in the game. The demo even has a winning and losing track! 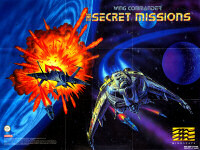 A separate pack of FMV movies (here - 19 megs) which could be added to the demo was also posted. Finally, Wing Commander: Secret Ops (here - 112 megs) is itself a demo. While the later episodes were not kept available for download, the first remained online to serve as a playable demo for Wing Commander Prophecy Gold. Ninjala has inked another Kilrathi design. This one is a Kilrathi female heavily inspired by the markings on the walls near the Tome of Sivar. Her stance is very similar to the ancient Kilrathi art, and the clothing and facial details were inspired by other Wing Commander sources. Prince Thrakhath's half-sister Zu'Kara and a Cult of Sivar Priestess from the 2655 Sivar-Eshrad ceremony, both depicted below, are two alternative examples that contributed to the piece. Ninjala's sketches will hopefully help AD create characters to populate his Half Life 2 project. I tried to make the face not too cute.. otherwise it wouldn't be quite menacing enough. Quite a bit of content filtered out of last week's Game Developers' Conference. One of many popular topics of discussion was the concept of "Feature IP" pushed by EALA vice president Neil Young. The influential Electronic Arts executive, who directed Origin efforts in the late 1990s, hosted a seminar that emphasized the importance of developing exciting game features at a foundational level. 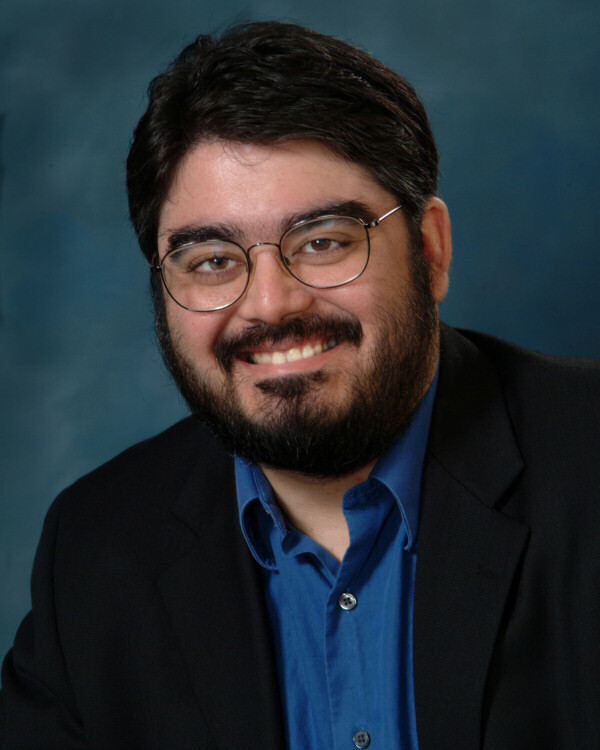 He believes that above the franchises or plot characters, a company should be looking at ways to capture people's attention through innovative play mechanics that make a game, series or company stand out. As he continues to be a potential overseer for any new projects associated with Origin, his passion for creating memorable experiences in games should be encouraging. You can read more about his talk at GameSpot here. To illustrate the concept, Young discussed what he considered feature IP. 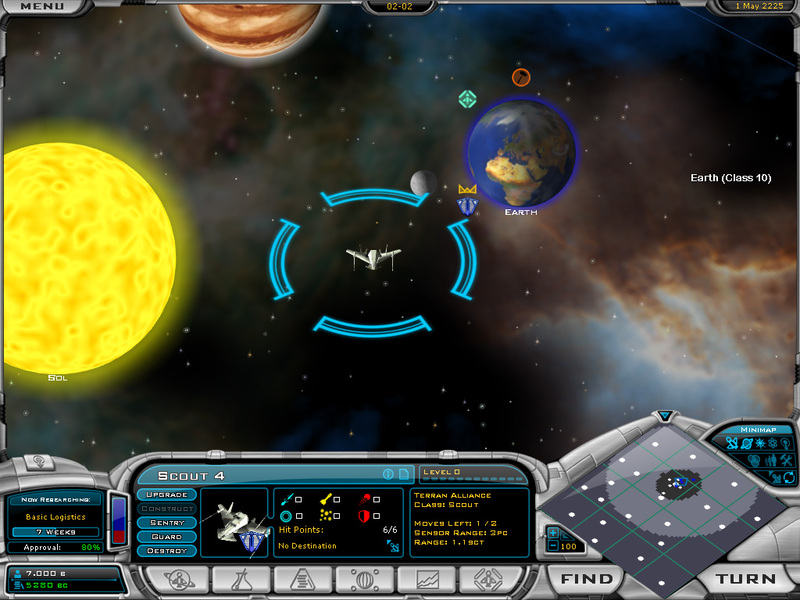 One example was the introduction of Aspirations to Sims 2. "It coexisted with and leveraged the needs and motives system [of the original Sims]. 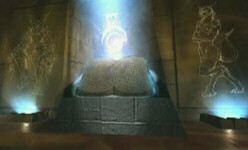 It added a new dimension to the gameplay, because it gave you objective-based gameplay without breaking the game." Young further emphasized the impact of feature IP when discussing Gameface, an innovation that allowed players to customize the appearance of their in-game characters and shipped with Tiger Woods 2004. This success included a year-on-year growth rate of 44 percent and more than $40 million in revenue, as well as the ability to use this technology across games. 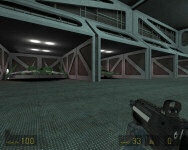 For example, Gameface was modified for use in the Godfather game, under the name Mobface. 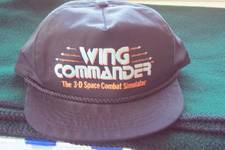 There wasn't a better way to show off how cool you were in the 90s: Three official Wing Commander hats were made available commercially. The first, a blue baseball cap featuring the original Wing Commander logo, was sold directly through Origin's 1990 catalog (see today's other update) and is quite a collectable today. The other two were made by Zanart as part of their line of Wing Commander III and IV merchandise - they're black caps featuring the WC3 and WC4 logos. There are at least two promotional caps, too. A hat featuring the Secret Ops logo and URL was given away to promote that game in 1998. 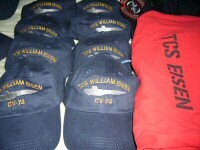 Then in 1999, FOX gave away black hats featuring the yellow Wing Commander logo to promote the film. The various teams who worked on the Wing Commander movie received hats, too - they're blue and feature the Tiger's Claw logo and registry number. The backs of these hats have their specific movie units stitched into them... "Effects Unit", "Aerial Unit" and so forth. 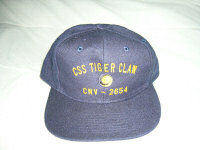 These Tiger's Claw hats inspired our own design -- the TCS Eisen crew hat. You can find out more information about them here. They're certainly not as rare as an official Wing Commander hat... but they're pretty cool none the less (and at $15, they're a lot cheaper than you might expect to pay for a movie crew hat on eBay). Watch out, there's dinosaurs in that hole! 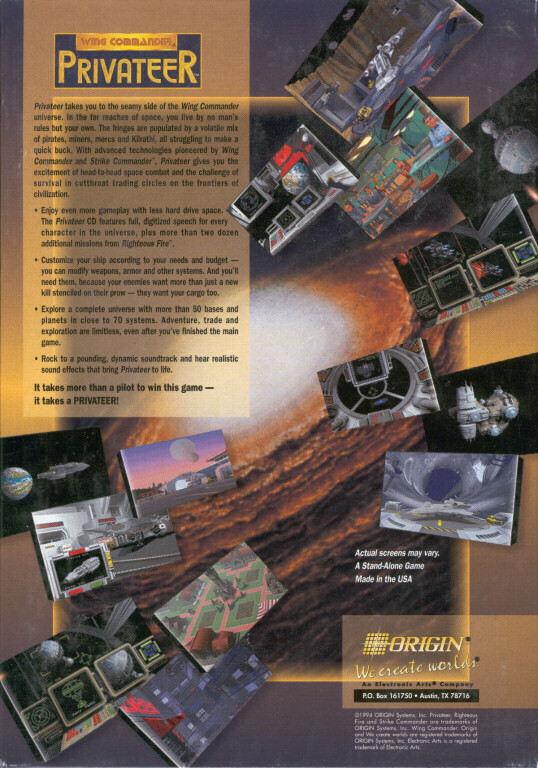 Chris has scanned several pages of Origin Systems' 1990-91 Catalog which promoted the release of the original Wing Commander. It claims Chris Roberts is "the hottest new name in games"... and he sure looks the part! 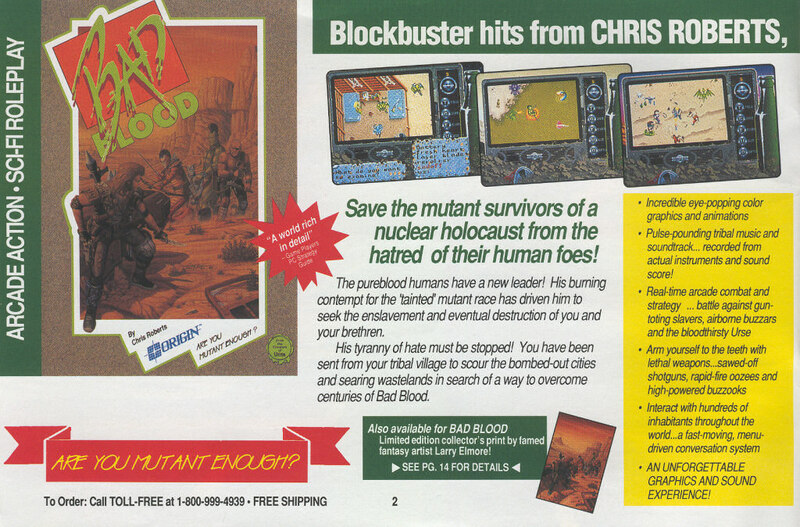 These pictures are full of interesting little facts -- look at all the platforms the game was available, check out the cool Hornet artwork, read up on Roberts' other game, Bad Blood... reading the new Origin catalog was always one of the great things about opening a new game. 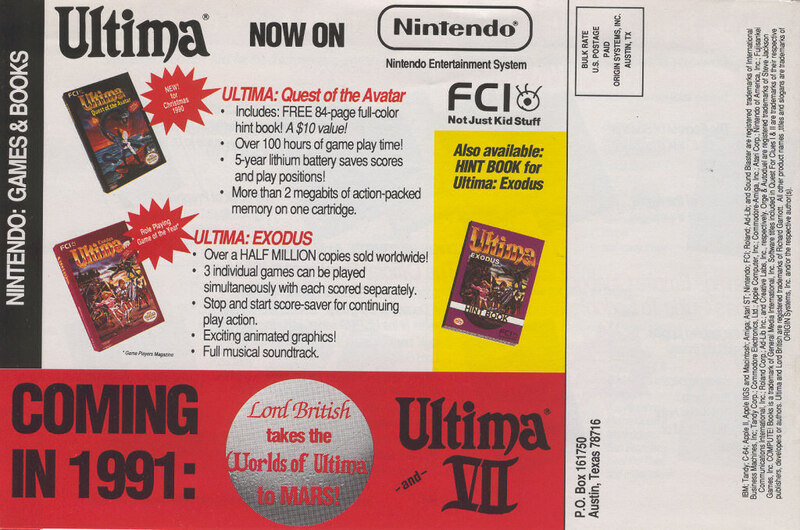 The last page doesn't have anything to do with Wing Commander... but who can resist "Lord British takes the Worlds of Ultima to MARS!"? The positive feedback from Fongsaunder's first sketch has given him a reason to more formally piece together a few more scenes. 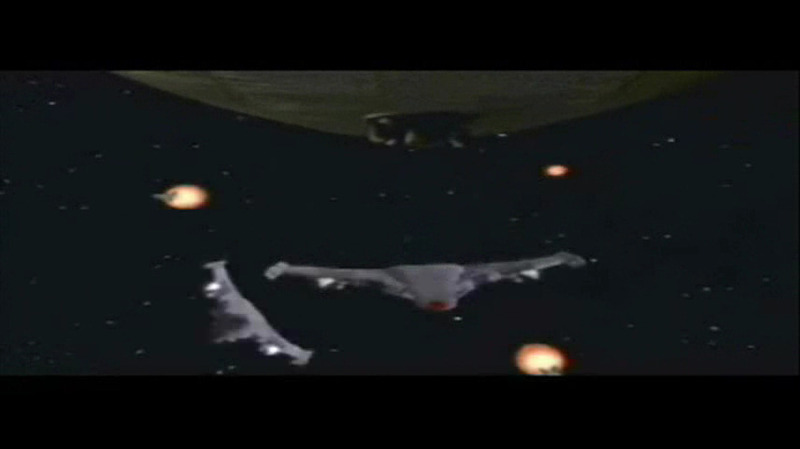 The first image below takes place shortly before his original engagement, and the following two shots portray dramatic landing and jumping sequences. Ships from somewhat different timeframes are once again mixed together for an interesting result. Fongsaunder would like to develop a little bit more story and create a small series in the future. I've given my WC comic a green-light. I've completed the first two pages, nothing fancy, but at least I tried. 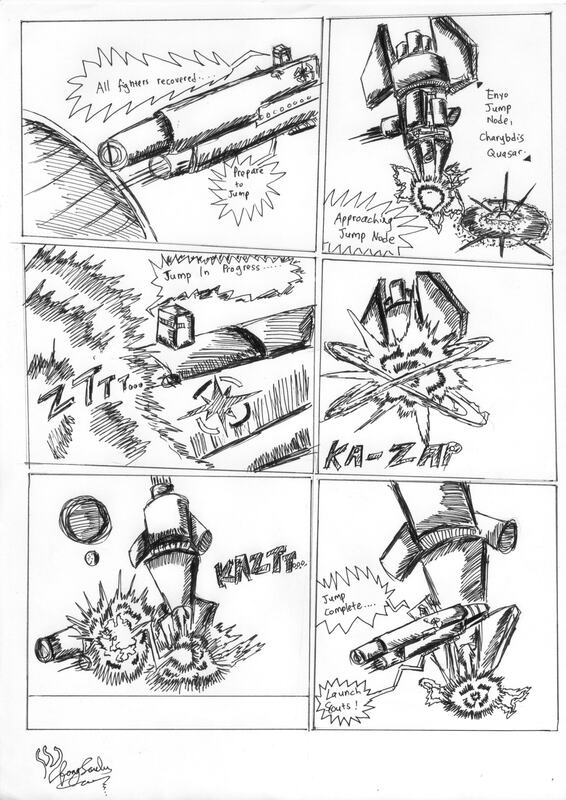 Page three is still in rough-pencil-sketch form and I'll do it with any free time I have. Feedback would be good though. I just hope I can get at least one page per week or close. I could color it, but I'm using a frakin G1/G2 pen, non waterproof, BIG MISTAKE.... So I'll have to go without colour. 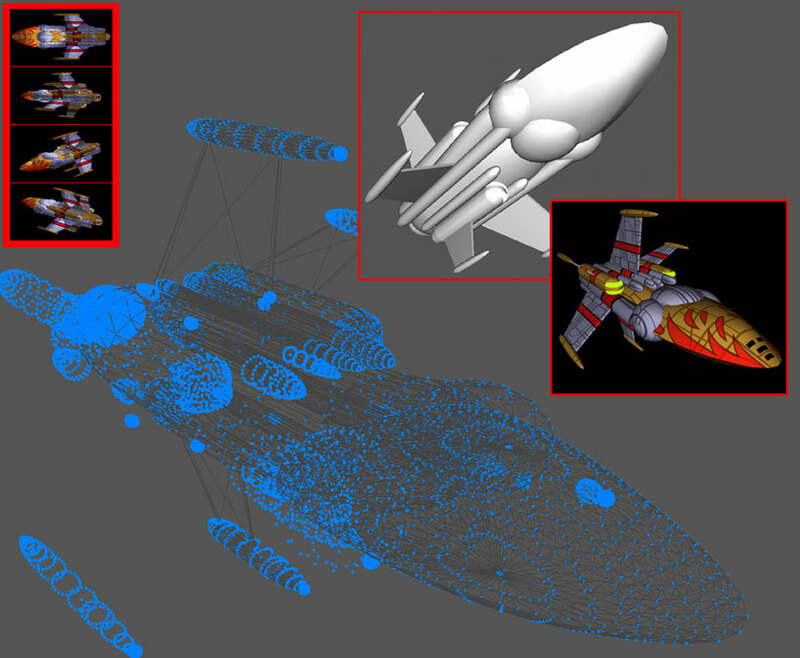 This model might look like an average Concordia class ship at first glance, but there's one key difference. The bright and well-lit flight deck helps to illuminate a more open runway inspired by a Bengal Carrier or Confederation Dreadnought. It's a pretty neat look for a relatively minor alteration, and a more appropriate green texture helps to complement the design. If you'd like to see more, look no further than Standoff. 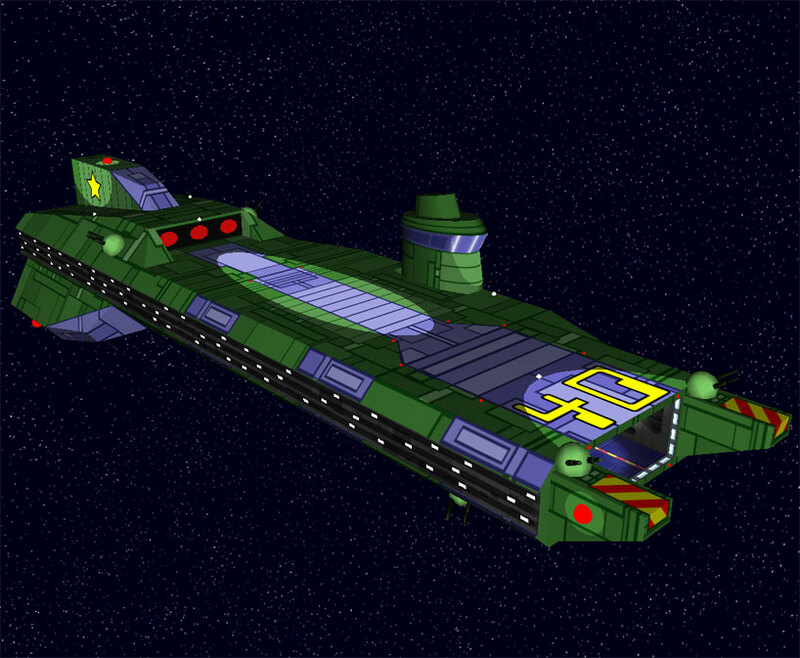 Modeler Eder was concerned that the modification was slightly different than the established design, but the neat ship makes an appearance as the TCS Verdun in Episode 3. Exarch has taken a little bit of time off of working on Wing Commander Apocalypse to bring you this wallpaper. 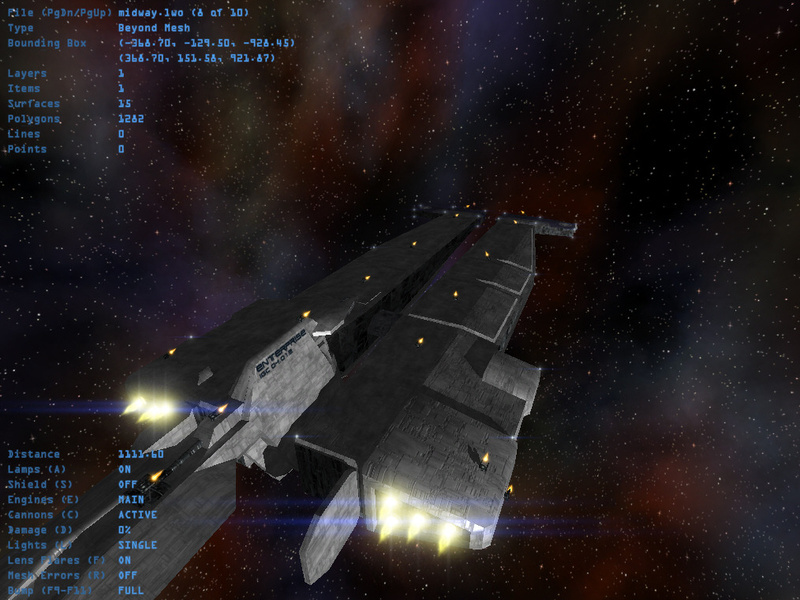 Apocalypse is currently the most active WC mod for the Nexus engine, and a number of ships have already been converted for use in the project. 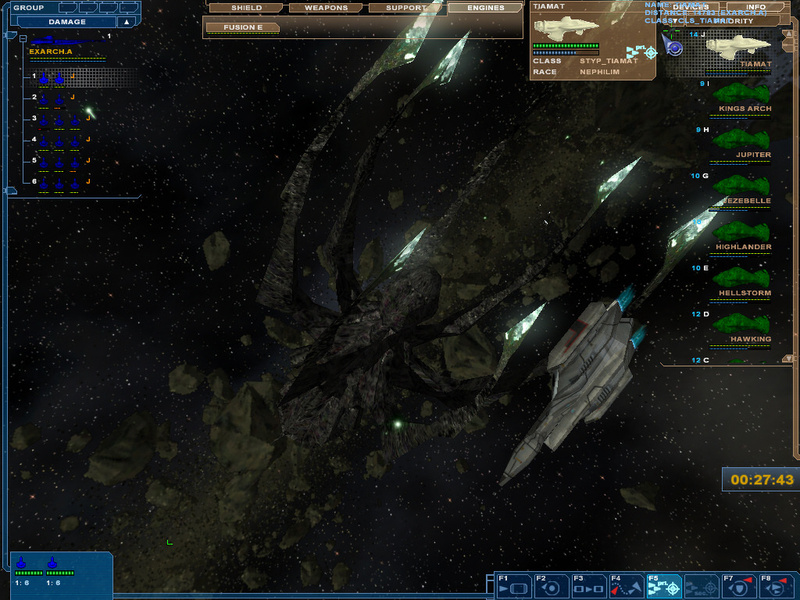 The wallpaper shows a Midway class carrier and a Fralthi II class destroyer taking on a Nephilim Tiamat dreadnought. Although the scene was rendered with Lightwave and not in game, it makes use of the models and high-resolution textures that will be used in the game. Fans are also anxious to get their hands on some sort of playable release. Exarch has posed two options for this. Hit the discuss link below to tell him what you think. I'm going to give you all a choice on what you want for the first release. Basically, you have two choices. I wanted to ask you which you would prefer the most. Option 1: I can reasonably add in most if not all ships planned for the mod, complete with proper weapon loadouts and most everything else. However, I would leave the high resolution textures out of the mod, except the ones I've already completed. While you guys are having fun with the mod, I'll be working on updating the rest of the textures for a future release. This would maximize the gameplay experience, but minimize the graphical quality on the first release. 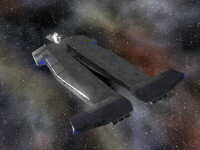 Option 2: I continue doing what I am now and add in a few more ships complete with their new textures. This would ensure everything looks like it fits together, but at the same time, it may not be as fun to play as the first option. Gaming website Firing Squad met up with Richard Garriott last week to interview him ahead of last week's Game Developers Choice Awards where he picked up a Lifetime Achievement Award. Sadly they missed the opportunity to ask about NCSoft's recent partnership with Spacetime Studios, a new company founded by a number of former Wing Commander developers. Where the article does focus is on Garriott's involvement with the Ultima series and his experiences and opinions on MMORPG games. Garriott also gives a few details about his upcoming game Tabula Rasa which is due for release some time this year. You can read the full interview here. Thanks to BrynS for the news. FiringSquad: Even though you haven't been involved in the Ultima franchise for several years now your name and your "Lord British" persona will likely be linked with that franchise for a long time. Did you ever think that the RPG series would have evolved into one of the most well know game series ever made? Richard Garriott: No. For the first few Ultimas, I did not expect there to be a sequel, or perhaps even an ongoing industry. After a while, I figured that I could keep doing this for a few years. It was only late in the series that I realized the power Ultima had and Ultima Online really proved that well. 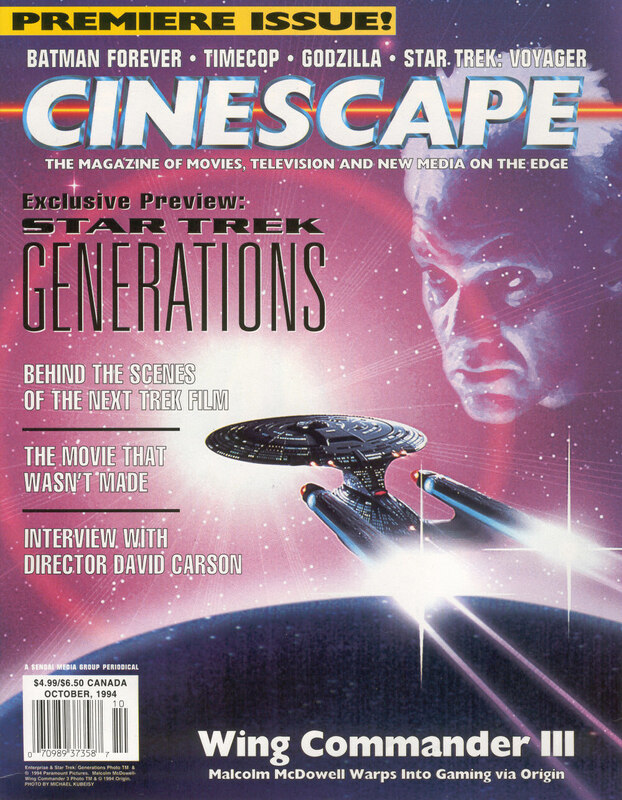 It turns out that of the biggest printed promoters of the Wing Commander movie in 1999, Cinescape, actually has a history with the series that dates back to its very first issue in October 1994. The cover story at the time was the upcoming Star Trek Generations film featuring Malcolm McDowell, but just a few weeks later, Origin was set to make gaming history with the release of Wing Commander 3. 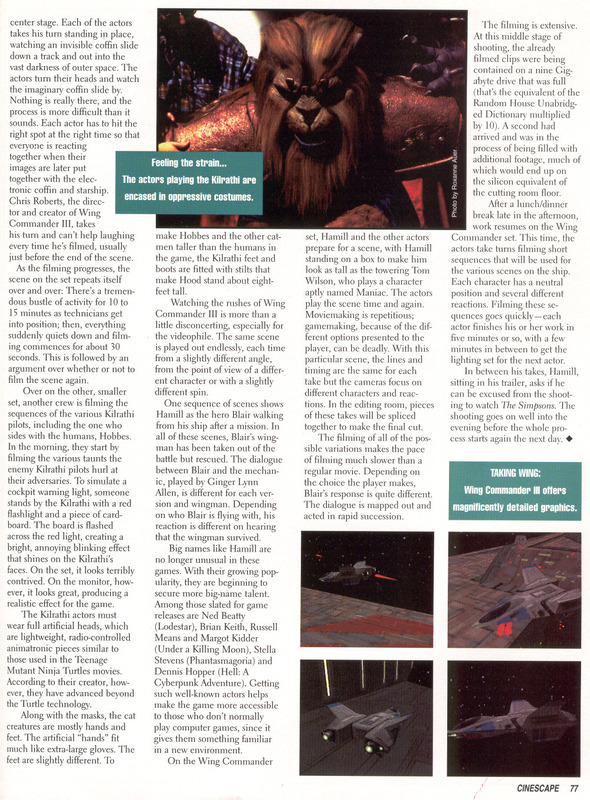 Cinescape debuted its Gamescape section with a full preview of what was to be the best selling title in the Wing Commander franchise. 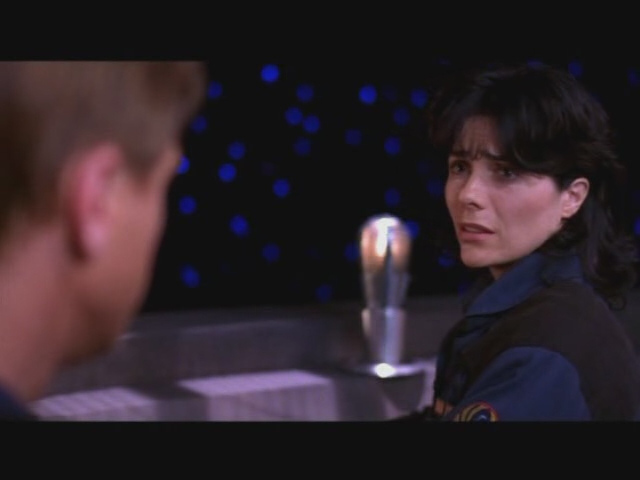 The extensive use of live actor FMV was big news, and the game's incredible graphics also got a nod. 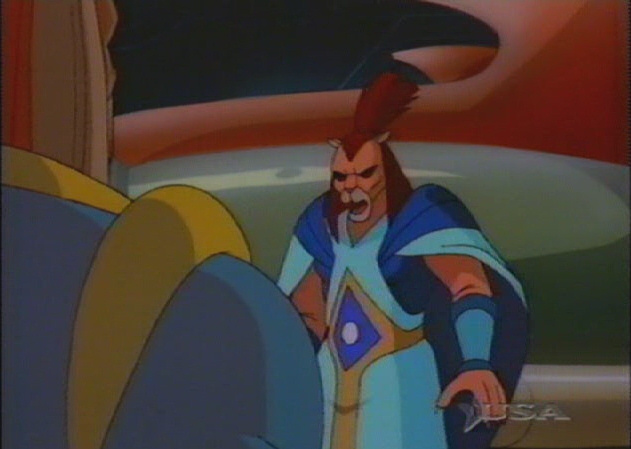 WC3's green screen technology and cool Kilrathi animatronic costumes were explored in detail. 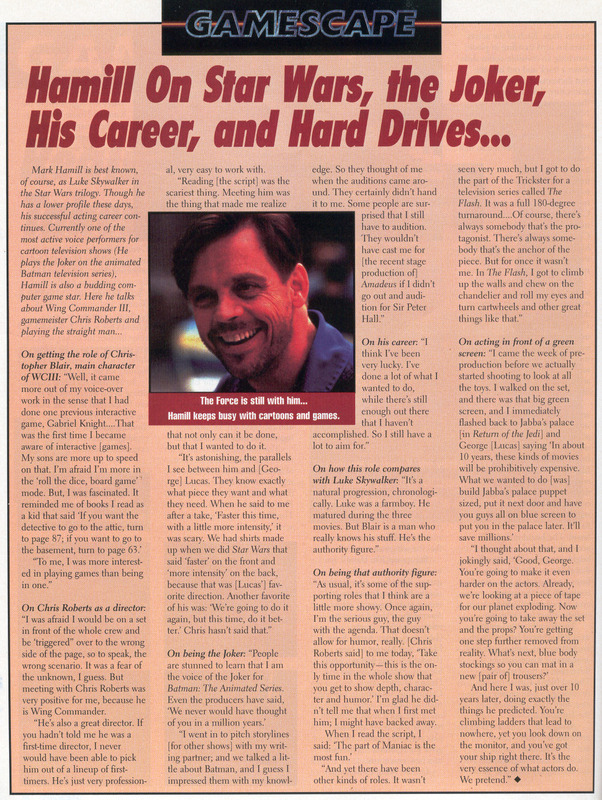 Special features on Mark Hamill and other space sims of interest to WC fans also rounded out the package. 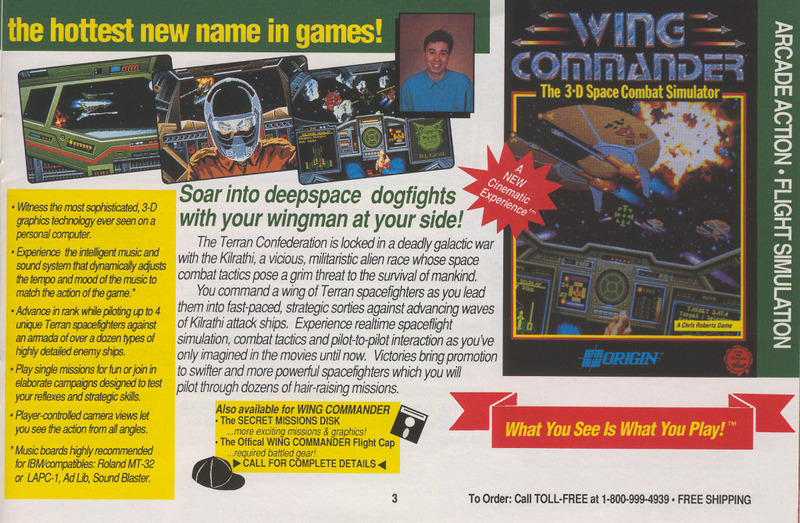 With the modern internet still in its infancy in 1994, a preview such as this was about the only way for Wing Commander fans to learn about the exciting things to come. The filming of all the possible variations makes the pace of filming much slower than a regular movie. Depending on the choice the player makes, Blair's response is quite different. The dialogue is mapped out and acted in rapid succession. The filming is extensive. At this middle stage of shooting, the already filmed clips were being contained on a nine Gigabyte drive that was full (that's the equivalent of the Random House Unabridged Dictionary multiplied by 10). A second had arrived and was in the process of being filled with additional footage, much of which would end up on the silicion equivalent of the cutting room floor. Star Wars Galaxies director, and one time Privateer Online lead designer, Raph Koster, has left the Sony Online Entertainment studio in Austin. This comes in the midst of quite a bit of change in the Austin software development landscape, particularly pertaining to massively multiplayer games. No specific future plans have been mentioned, but former Origin coworker and POL producer Rich Vogel took control of Bioware's new mmo-dedicated Austin branch two weeks ago. On top of all this, earlier in the month, a band of former Wing Commander and Privateer developers aligned themselves with Origin founder Richard Garriott to christen Spacetime Studios in conjunction with NCSoft Austin (which only publishes massively multiplayer games). You can read more about today's news at GameSpot here. Prior to joining SOE's Austin studio, Koster was part of the Ultima Online team at Origin Systems. 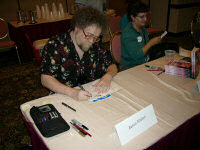 In addition to Galaxies, Koster was instrumental in the development of EverQuest II at SOE. Mr. Koster also has a personal website at raphkoster.com. Yes, it is true I am leaving SOE. Why? Well, I’ve been here for gosh, almost six years maybe? It’s been a good ride, and I think we’ve gotten to do some really fun and interesting work. But I am getting interested in doing some stuff that is a bit off the beaten path — really, anyone who has been reading the blog can see that! — and while SOE feels it’s really cool stuff, it’s just not where they are at right now. My contract was up, and it was the right time to poke my head up and look around, that sort of thing. It’s all quite friendly, and actually, I hope that I’ll work with SOE again in the future, because there’s a lot of wonderful talent here and a lot of cool technology, and a lot of friends. So, sometime soon here I’ll be off on my own. Nope, no announcements about plans or anything. I don’t have a new studio in my back pocket, I don’t have a job lined up, any of that. And… we’ll see what comes. I’m thinking sleeping in next week sounds good. 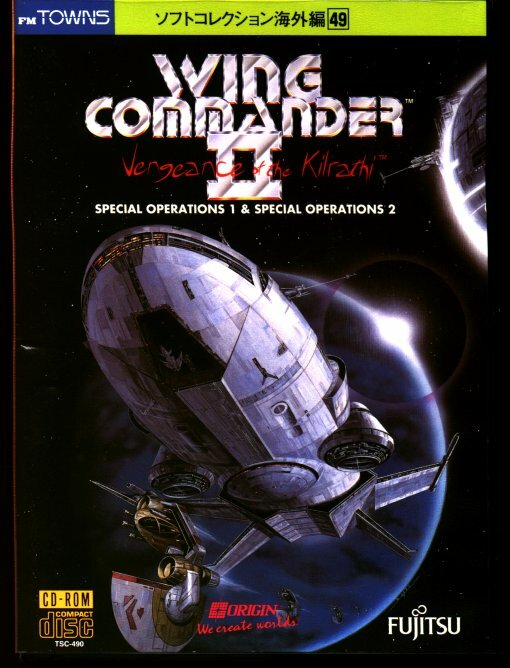 The Game Manuals section has been updated with a variety of documentation for the console versions of Wing Commander III & IV. The new PDFs include compact versions of the WC3 Warbirds poster and WC3 3DO reference card. 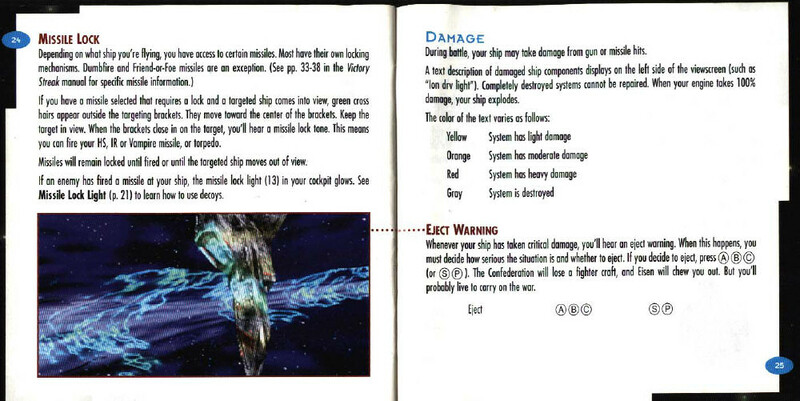 We've also added standard instruction booklets for WC3 PSX, WC3 3DO and WC4 PSX. 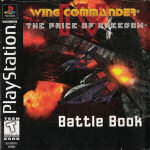 The Wing Commander IV pack includes both the Battle Book and harder to find New Officer's Handbook. 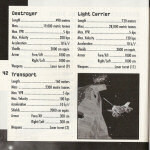 For simple instructions, a partial listing of game controls is presented in a concise section here, and you can also check out dozens of other Wing Commander manuals here. 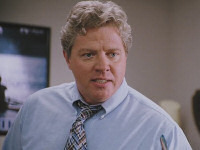 Privateer 2 fans have another chance this weekend to catch their favorite actor in another high profile role. 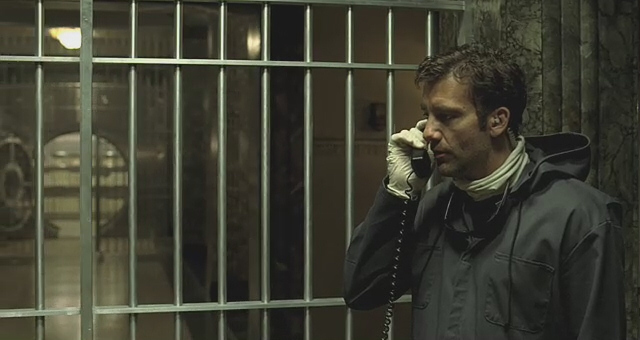 Clive Owen stars alongside Denzel Washington and Jodie Foster in Inside Man, a dramatic thriller about a bank heist that turns out to be much more elaborate than it seems. The reviews so far are excellent and this film should be another career boosting job for Ser Arris. 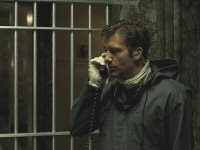 Producer Grazer summarizes, "Inside Man is a thinking man's heist film, a twisty, turny thriller. It is designed to be entertaining, where audiences are at the edge of their seat—with combustible moments between this genius character played by Clive Owen and a cop we're not certain has the command, knowledge or wisdom to challenge a criminal mastermind." Time is flying faster than ever, and we're now just about five months away from beginning our annual DragonCon gathering. Attendees have started booking their flights, and the hotels are beginning to fill up. There's not yet danger of missing out on a seat or room, but now is the prime time to get great rates and fares. This year we're also thinking about hitting the Georgia Aquarium on the day before the convention and having some sort of meet-up in Baltimore/Washington DC a few days before that. Hit the discuss link below if you have any questions or think you might be able to visit. You can read all about last year's adventure and find more pictures like the ones below here. 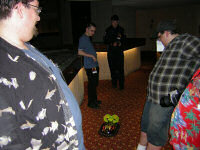 ChrisReid: Some people left the pool to continue the party search and ran into Teo with his hovercraft. Eraser from Lancers Reactor tipped us off about a new GDC interview with Microsoft's VP of Interactive Entertainment, Peter Moore. The first question that IGN editors asked the executive was about the fate of former Austin developer Digital Anvil. He seemed to be caught almost off guard by the question and the answer comes out pretty awkwardly. IGN: What happened to Digital Anvil? Peter Moore: They're a great developer: There was nothing there that was integral to our plans moving forward. Actually, they're all doing fine. They were a great studio, and I think the core studio is still together. 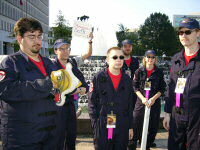 We offered them all jobs at Microsoft Game Studios and a few people accepted; some others didn't want to. I think they're trying to get some financing together to form a new studio. But I don't want to mess with any future plans that team has, so I'd rather not say anything more. It's possible that some of those future plans had to do with Spacetime Studios. The WC Saga team has put together a summary of a typical strike in their upcoming Freespace mod. Missions begin and end with traditional carrier landings that are designed to be flown manually. 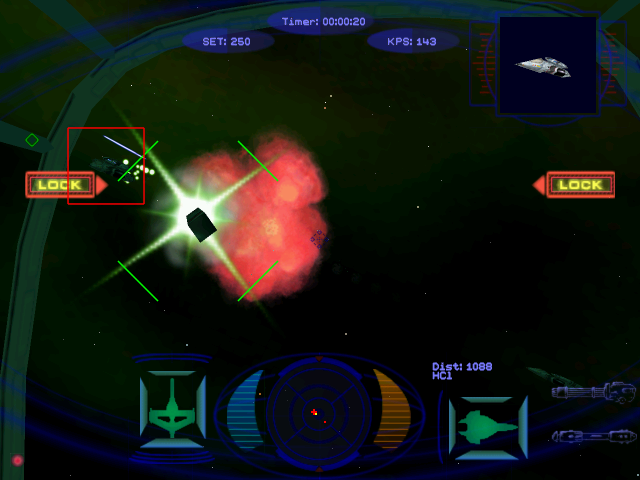 Autopilot has been added to the engine, and regular combat includes a number of familiar Wing Commander themes. 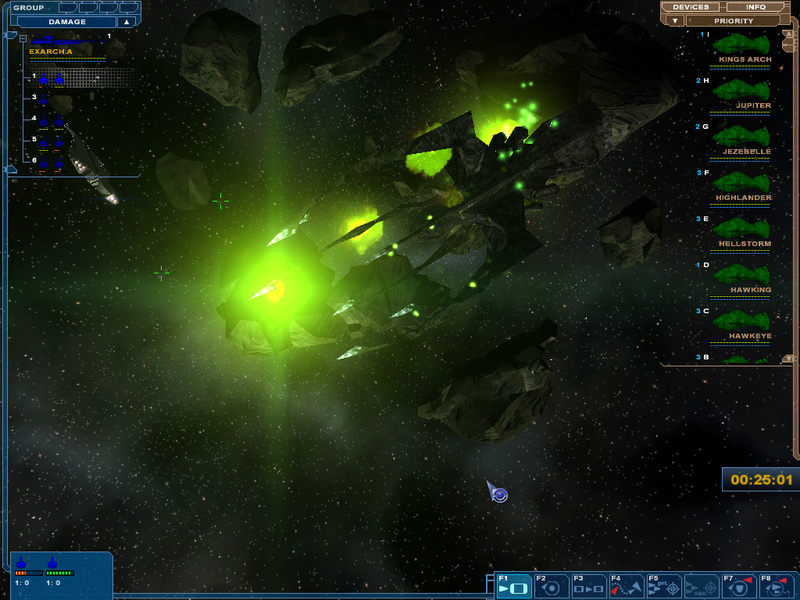 The battle pictured below pits two opposing cruisers together. 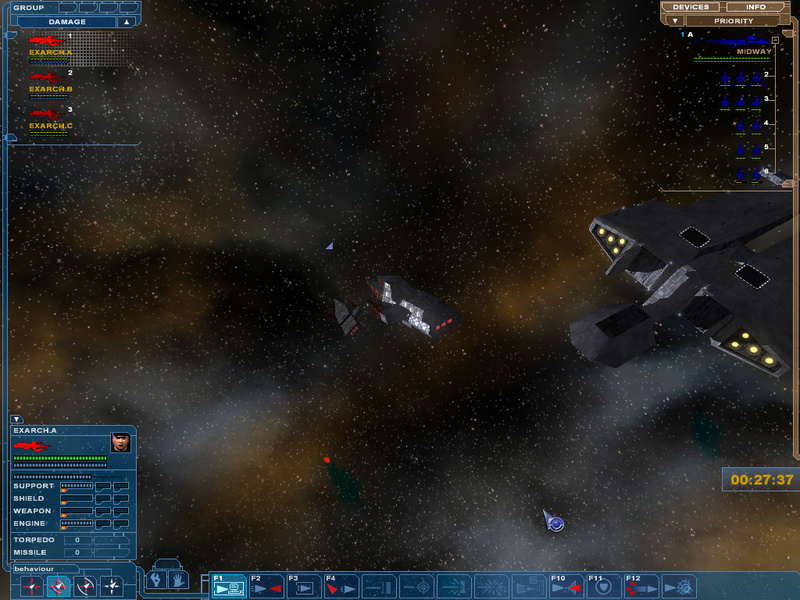 With friendly fighter support, the Confed warship can take out the Fralthi II. 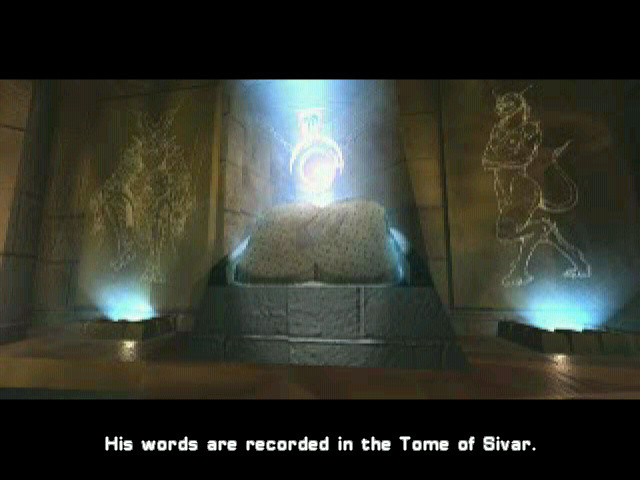 You can find more screenshots and descriptions at the WC Saga website. 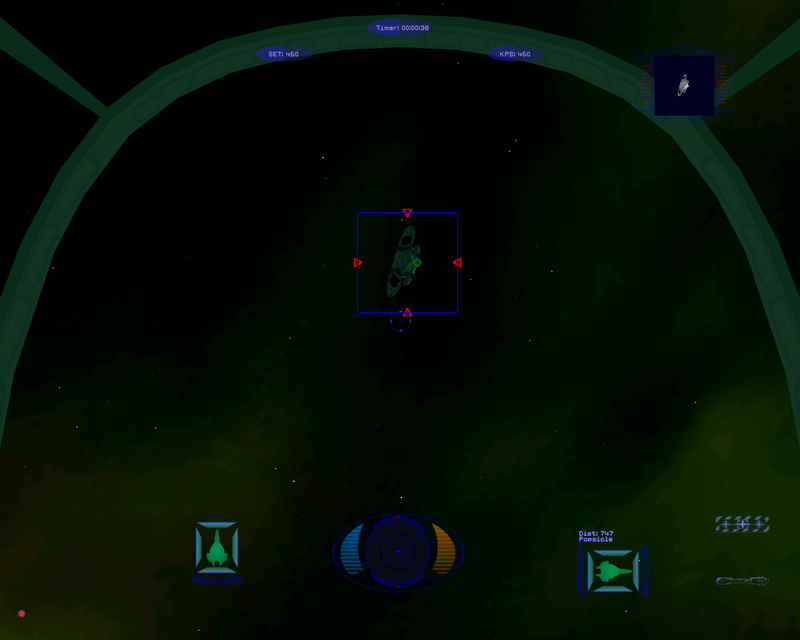 What would WC be without autopilot and nav points, two features that were not present in Freespace 2? We received a nice code feature that allows us to autopilot to different mission areas without any loading cycles between the nav points. Our autopilot function doesn't show an automatic flyby scene, but it uses a “real traveling” system. When the autopilot is engaged, the ship steers itself and the engine slowly engages up to a 64x time compression, otherwise it could take quite some time to get to the next area. Don't forget that tomorrow is your last chance to catch the WC movie in high definition for a little while. CineMax is airing the 1920x1080 version at 6:15PM on the east coast, and 9:15PM on the west coast. It has been more difficult than we thought to capture the high resolution movie, so if anyone has the ability to take screenshots, let us know so we can do a quality comparison. Meanwhile the regular version of the movie can be seen throughout the rest of this month and all of April. 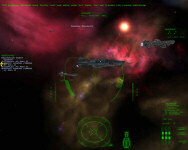 The most active Wing Commander mod for Nexus has continued to develop its gameplay mechanics and round out its fleet. 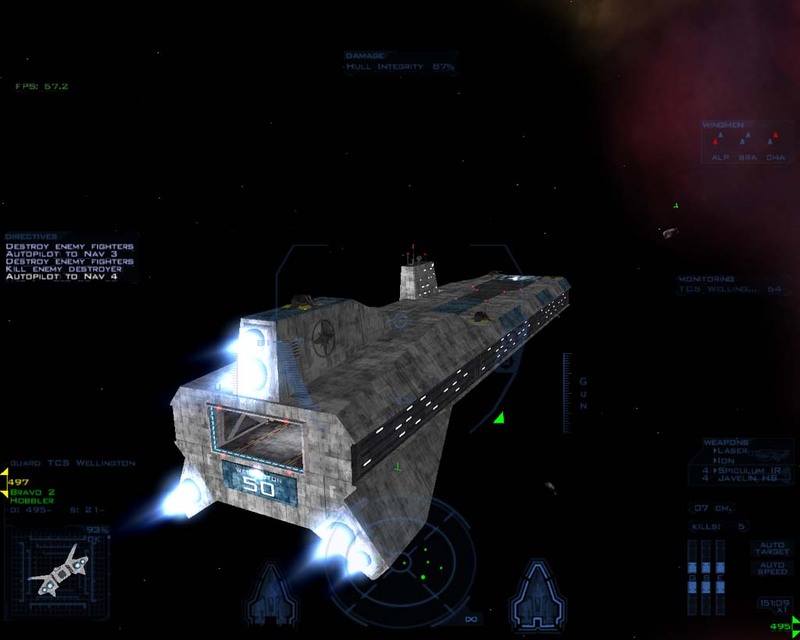 Functional turrets, engines and docking ports have been added to the Midway class Carrier, and a Kilrathi Light Destroyer model has been converted for use. 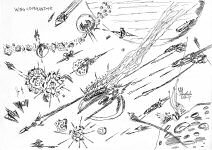 The latter four shots below also show a Shrike strike on a Nephilim Tiamat. 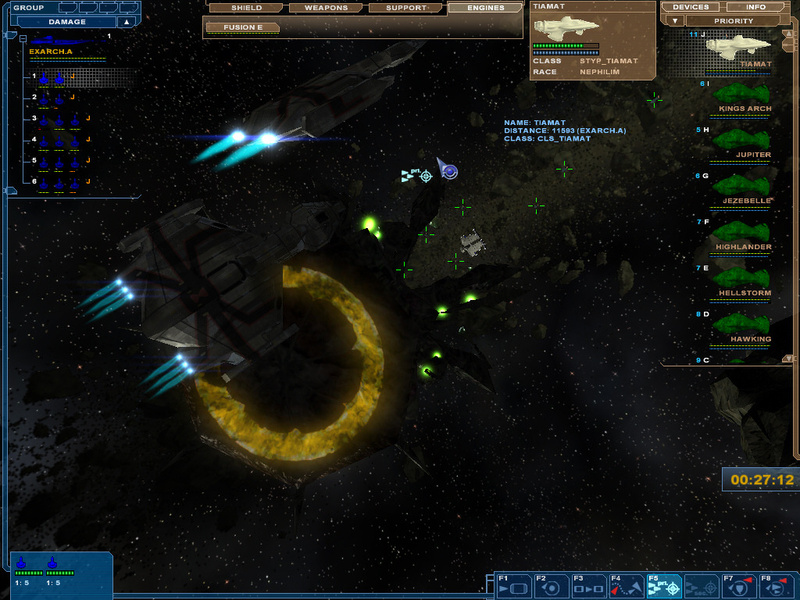 Multiple waves of bombers deploy and launch continuous attacks on the dreadnought's vital components. Exarch has been answering various questions about WC Apocalypse at Crius.net and described the battle in more detail. The destruction of the Dreadnought may seem easy, but really, it wasn't. I played this skirmish multiple times, and this was the first time the Shrikes actually took her down successfully. 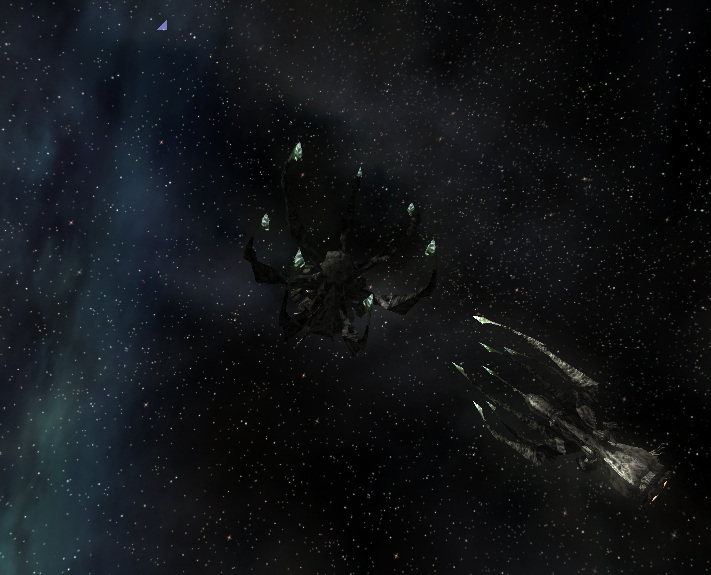 The Shrikes carry 6 Valiant light torpedoes. It takes approximately 70 of them to destroy the Tiamat. There were 6 squadrons of 3 fighters, so that means a bunch of torps were shot down by the ship's turrets or the Barracudas escorting her. When you add in fighter cover, bigger ships than the Barracuda corvettes, etc., the battles are going to be very interesting. 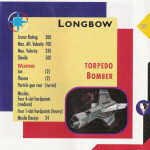 It looks like Wing Commander fans have quite a wide assortment of favorite Destroyers. 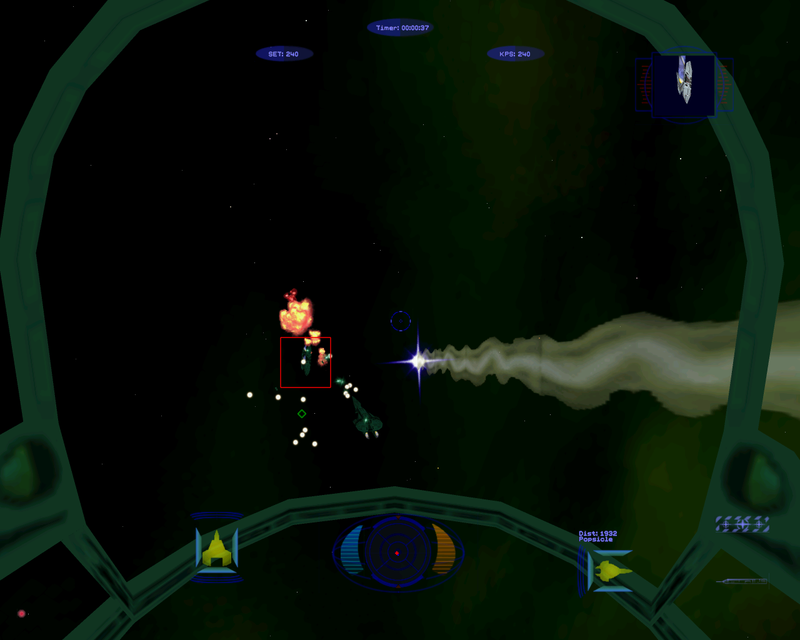 The ships in the six most prominent Wing Commander games each got about one-sixth of the vote. The Valiant and Achilles class Destroyers from Action Stations and Academy didn't fare too well, but the Coventry type ship from Wing Commander 3 edged out the good old Exeter slightly. 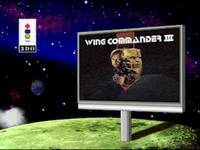 The new poll asks which episode of Wing Commander Academy is your favorite. Our alternate layout lets you pick from all thirteen shows. Here's a little refresher to help you decide. 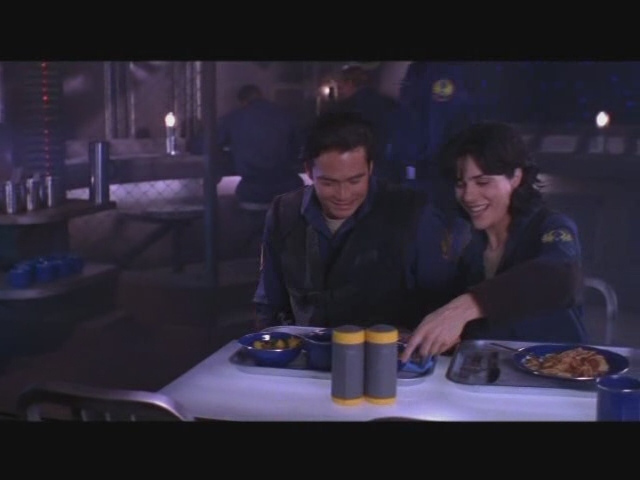 Red and Blue: Blair and Maniac are assigned to the Tiger's Claw for training. The Last One Left: Blair and Maniac encounter a Confed war hero turned renegade. The Most Delicate Instrument:Mentally unbalanced from stellar phenomena, four cadets begin to exhibit erratic behavior. Word of Honor: Blair and Grunt crash land on an alien world, but they're not alone. Grunt's Marine disability and Kilrathi deception make getting home difficult. Lords of the Sky: Blair and Maniac land on an alien world where the local savages worship the dastardly "Lords of the Sky." Chain of Command: Tolwyn meets an old "friend" - who just happens to outrank him now! Expendable: Blair and Payback scout an unstable jump node. 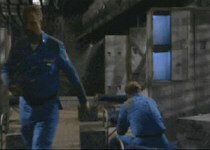 Walking Wounded: Maniac scores guard duty on a crippled medical ship. On Both Your Houses: Blair, Maniac and Archer pursue Kilrathi fighters to a lush tropical planet where things are not as they seem. 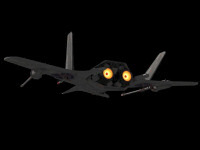 Invisible Enemy: The Kilrathi have a new and terrible weapon: the Stealth Fighter. Glory of Sivar: Blair and Grunt land on the planet Dolos - and find themselves surrounded by fur! 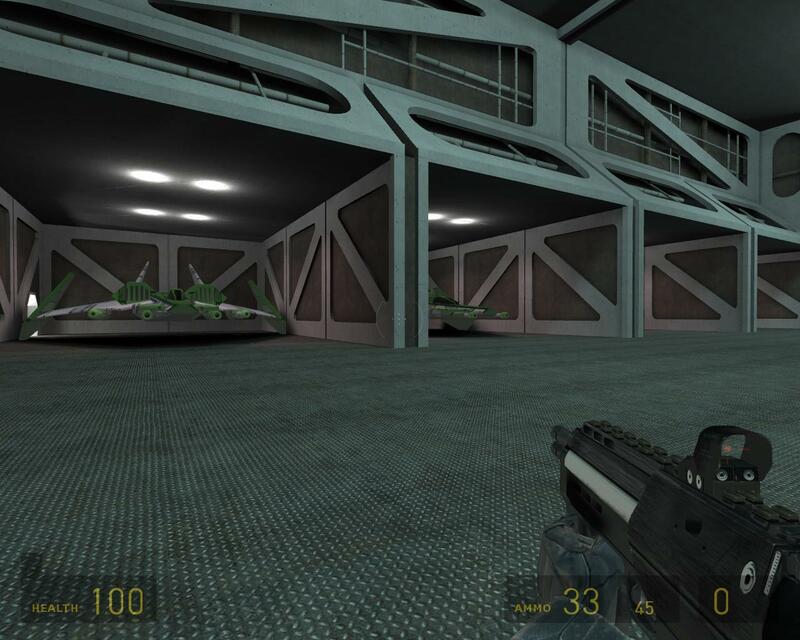 Testing continues on HCl's Prophecy Multiplayer Upgrade. 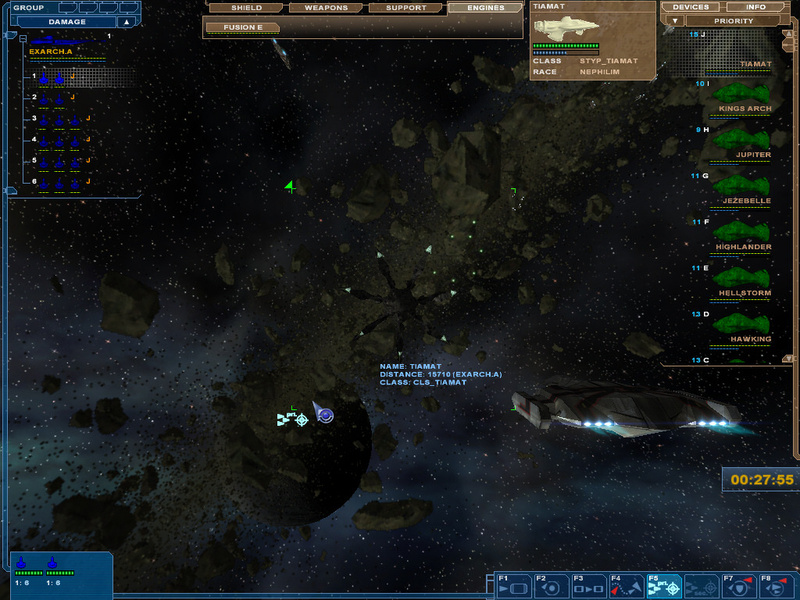 The newest feature is the implementation of teams in combat. Utilizing leftover code from Prophecy's original multiplayer modes, HCl has been able to assign separate wings to duel it out online. Free-for-all is fun, but the team element adds more strategy and tactics to the mix. In one round, a bomber wing with a Shrike and Devastator held up surprisingly well against Vampire and Panther attackers. 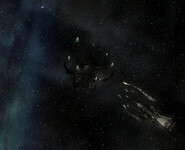 The extra shields and turrets allowed the less nimble craft to hold their ground until one of their adversaries was finished. With the odds improved to 2:1, the bombers were able to work together to deal out the hurt. Improvements are being made each and every week, although difficult coding and bug mitigation still remains to clean things up. 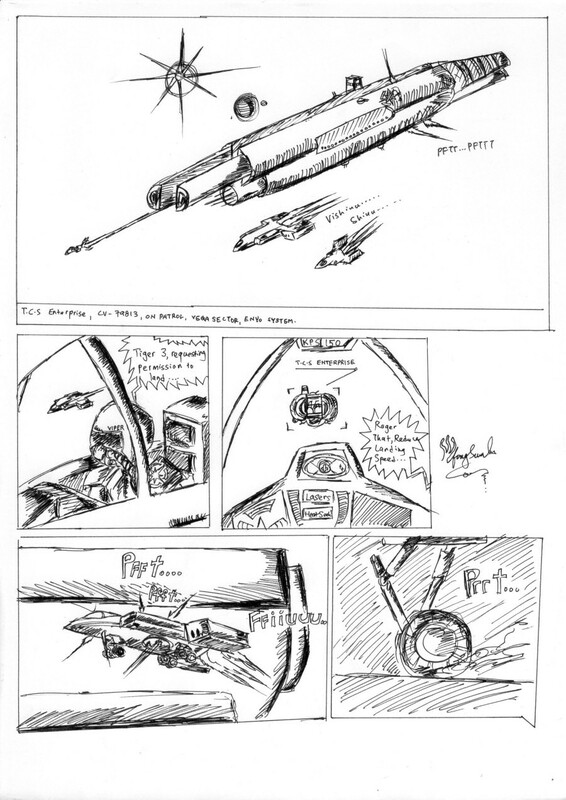 We've all been bored during class at some point in our lives, but how many of us have produced sketches of full Wing Commander images? 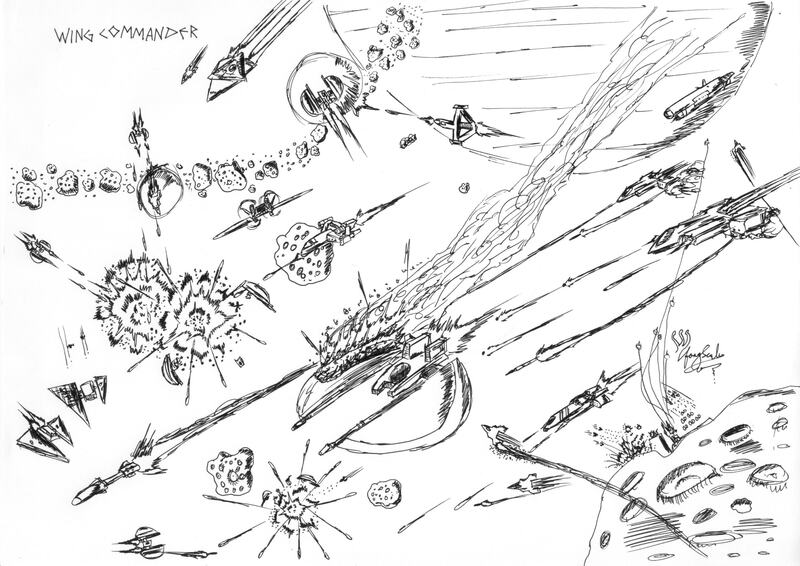 Well fongsaunder sure did, sketching a scene with the slightly unusual combination of a WC Movie style carrier with Prophecy era fighters. There's lots of asteroids and plenty of tractor beam action going on in this image, but the best person to explain is the artist himself. 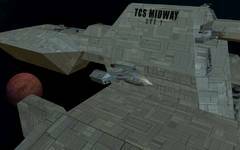 The picture shows the TCS Atari, an old, recommissioned Bengal-class strike carrier with it's old refit (WC Movie). 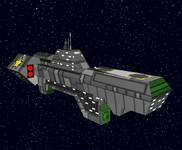 The ship was recommissioned to anti-pirate duty to engage and destroy pirates in space. 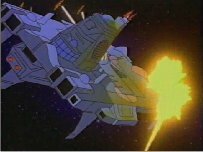 The timeframe was pre/post-Prophecy as the Prophecy ships have come in service (Piranha, TigerShark, Wasp, Seahawk and Condor.) 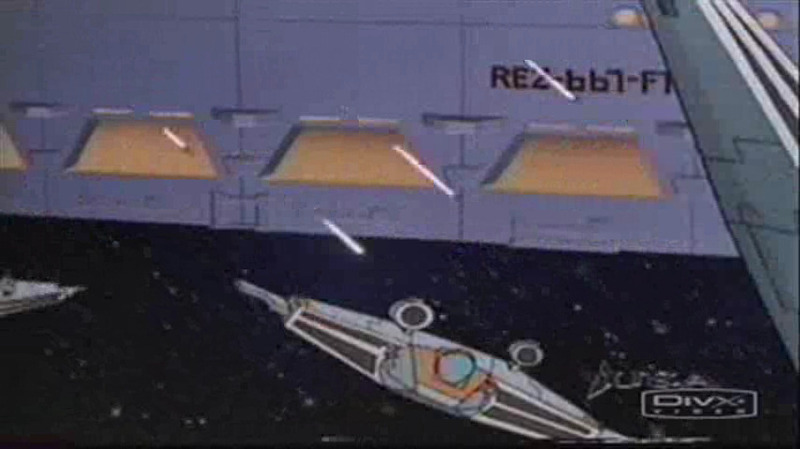 The ship, now in an asteroid field, retrieving ejector pods from downed CultOfSivar pilots hunted down by the Atari's fighters an hour before. I dont know how to draw a kilrathi insignia so I made up a CultOfSivar insignia. 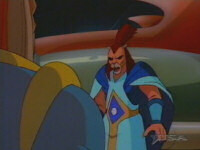 Also note the wing of one of the Dralthis is actually the WC1 "Pancake" Dralthi. Sent into combat during the early stages of the Kilrathi war. Five months in service, she was hit by Kilrathi torpedo bombers and was heavily damaged. By the time she was fully repaired, the new Bengal class carriers (refitted) were already in service. She was kept in storage and her hull has been re-used by the end of the Border Worlds conflict as anti-pirate ships to save Confed Command some credits into building newer and more expensive Vesuvius/Midway class Super/Megacarriers. It looks like that class time didn't go to waste. There is also a full size 763K, 3508x2480 resolution scan available here. 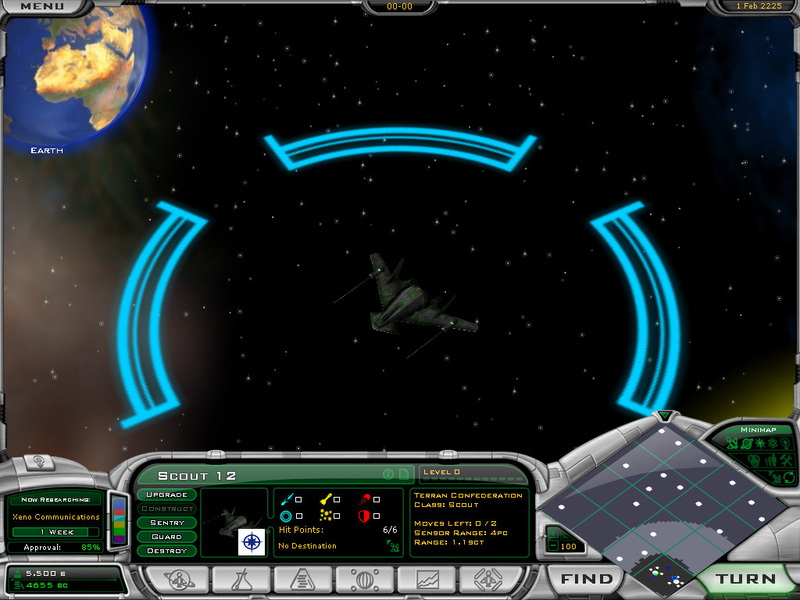 Last week's preliminary Wing Commander makeover for Galactic Civilizations 2 has mostly come together, and an installation and help guide is now in the works for the conversion package. The retail game itself has recently gotten quite a bit of free publicity thanks to fallout from some forum drama. The company behind GalCiv2 seems to have a solid corporate philosophy and a good product on its hands, so hopefully this helps broaden the install base for the Wing Commander mod. 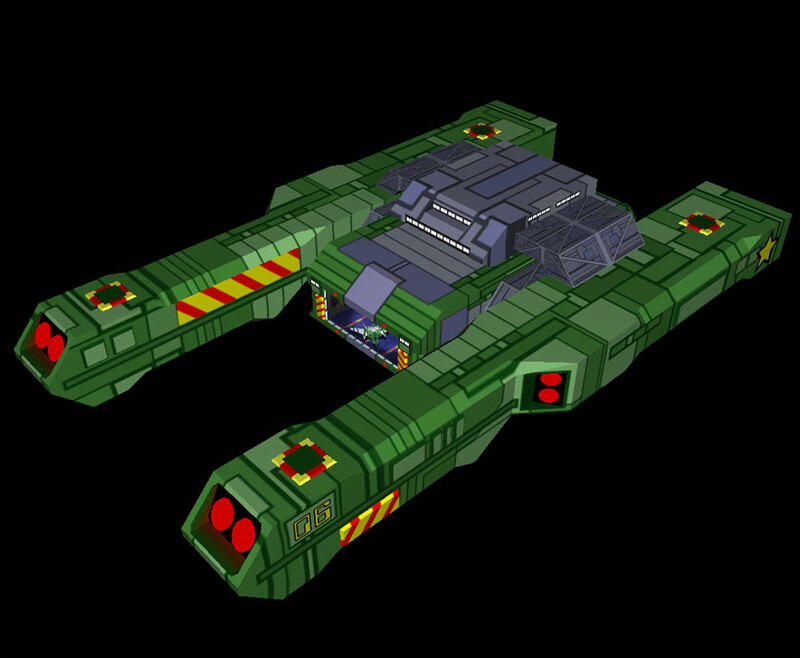 With the basics beginning to get wrapped up, ColonelFireball has begun looking into adding familiar Wing Commander ships. He's managed to get Howard Day's Hornet model looking pretty good with Tolwyn's texture so far. So what I try next to do is a mod for the ships. I had some problems with converting and including the models to the game, but was successful. Once you know how everything works, then it is EASY. It doesn't seem like much, but this was hell of a lot of work. It's been a while since AD's last music video, but this one was worth the wait. 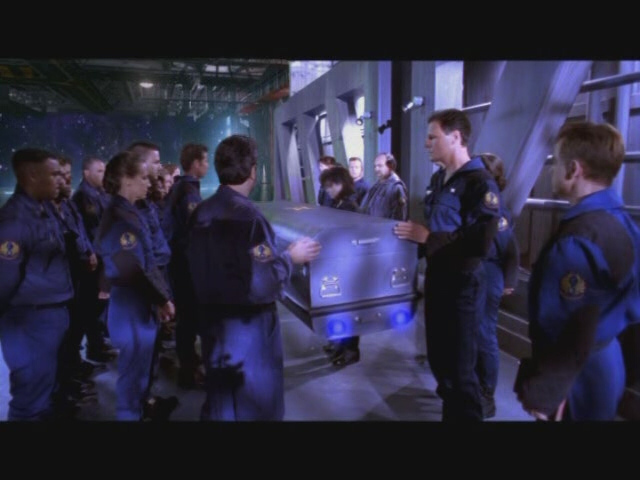 The story begins with Catscratch's funeral in Wing Commander 4. Subsequent scenes flash back to his relationship with Sosa and then the ensuing sorrow after his death. Voices and sound effects from the original movies are balanced well "In the Round" by the Cardigans. New Divx 6.1 features were used to encode everything and the quality is top notch. As an extra special feature, two audio tracks are included! Track 1 carries the regular music, and Track 2 adds a full length commentary by AD. If you don't have the necessary software, you'll hear both tracks mixed together, which will probably be too distracting. One solution is to download and install Divx 6.1. A little icon will appear in your system tray that allows you to switch between audio channels. If you already have an older Divx version and a specialty movie viewer such as VLC Player, you should already be all set. This is my favorite music video yet, and hopefully some of you like it too. You can grab the 37 meg avi here. There hasn't been much news about WC Saga's actual project status lately, so Starman has provided some details on what the team's been up to this year. The Prologue demo length, story/script flow and in-game video sequences have been the main focus of attention. Hopefully we'll see more specifics soon. 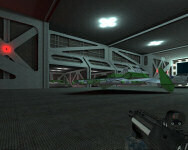 We’ve completed two more simulator missions that will be released as part of the prologue release package. We hope that these additional mission will raise the replay-value of the entire thing to fill the waiting time before the main game. The full-campaign script has been undergoing some major fine-tuning, with work being done on issues of continuity and canonicity. This is time-intensive and detail-focused work, but it has been proceeding at a good pace. BTW, we still have some positions open for skilled mission designers. We have also been hard at work finishing up the video sequences that will be part of the prologue release. Another scene of the intro is nearing completion. In addition, Lars has released another wallpaper featuring some of the ships from WC Saga. You certainly noticed that on the front page. Fans who missed January's high definition broadcasts of the Wing Commander movie on HBO HD have a new opportunity to catch all the sharp details again. (Cine)Max High Definition will be airing the 1920x1080 res version this Monday morning and again on Friday evening. There are also several regular showings on Action Max and Cinemax throughout the remainder of the month. 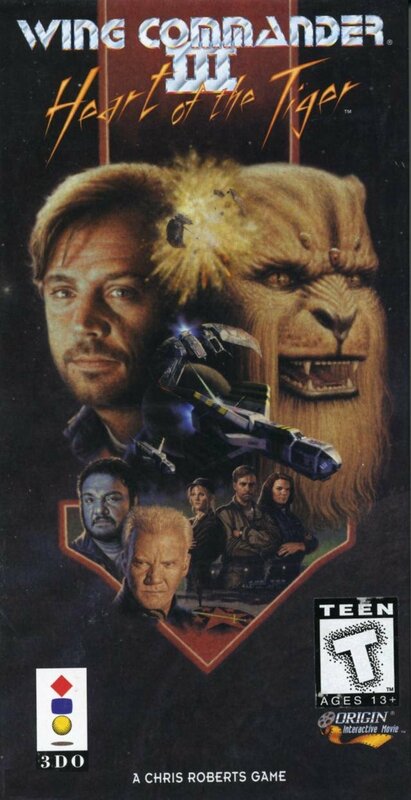 Although 20th Century Fox has not announced a Blueray edition of the Wing Commander movie yet, the heavy broadcast rotation and fact that a high res cut was already produced should increase the likelihood that everyone will be able to purchase a copy at a later date. But for now, these are the only two opportunities that show up on the radar for the next couple months. Have fun. 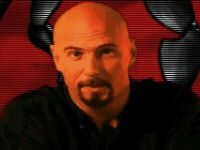 Mark from QDQP let us know that his site now hosts a Command & Conquer movie archive. 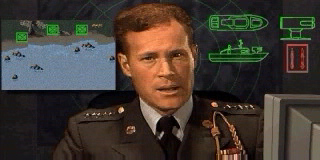 He has converted the game's intro and ending movies, mission briefings and a few critical plot sequences into divx files for nostalgic fans to check out. 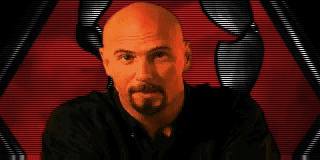 We've occasionally referred to Command & Conquer as a sibling series and one of the few non-Wing Commander franchises to successfully employ full motion video. 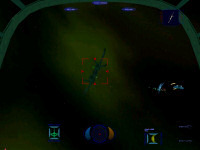 The original C&C in 1995 used similar techniques to Wing Commander 3's green screen overlays for its CGI. Some of the earliest fan videos I saw in the mid nineties combined elements from WC3 and Tiberian Dawn in an exciting mix. 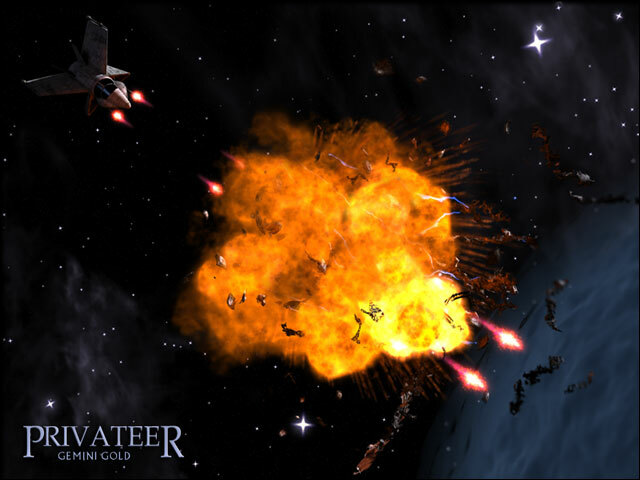 C&C First Decade was the first game to reveal Wing Commander Privateer's involvement in a new EA/GameTap partnership this spring. My current project is to rip all the FMVs from the games (game intro, game endings, mission briefings etc). Since C&C and Wing Commander 3-4-P are from the same era maybe it is nice to make a comparison between the FMVs of both game series. Due to space and bandwidth constraints, this is the only game in the series that Mark currently plans to post. Merry Cridmas, everyone! You should all send ChrisReid a note for his birthday. Chris is the CIC's consummate professional... he keeps the site running and the news updated on time every day when the rest of us aren't nearly as well organized -- just look at how much later this update appeared! Chris and I have been friends for ten years now... and from CIC Update #1 to the movie premiere to more Dragon*Cons than I can count he's always put Wing Commander before everything else. So, happy birthday, Chris - you deserve the best day possible... even if it was actually yesterday. Marc has another pair of lucky ships for his growing fleet. They've been colored in characteristic WC2 era green and look great with the new paint job. Marc retextured the Paradigm twice to make it more distinct from the Privateer version. You can see the rotating model here. All the neat details on the Durango design also help to make it a fun creation to look at. Both ships were made at the suggestion of fellow fans. You can find more pictures and provide helpful feedback at Crius.net. LOAF added this particular insight. 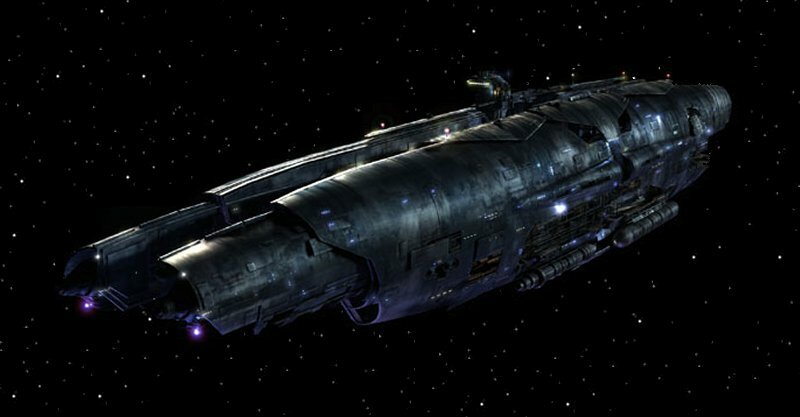 Worth noting, perhaps, that the Origin FX 'TCS Paradigm' screensaver is set in 2664... and that Paradigm looks like the ones in Privateer. 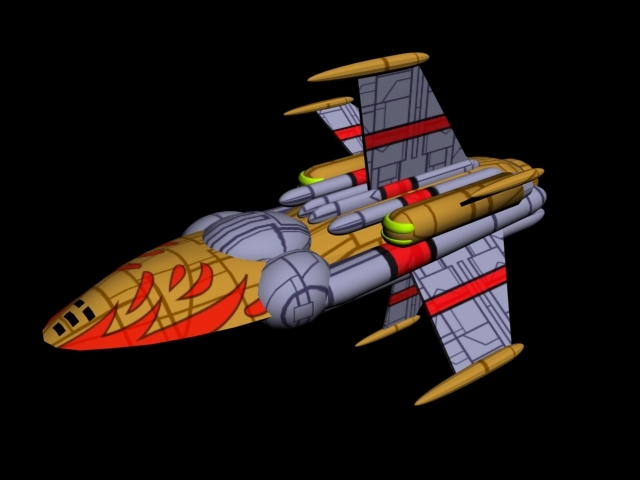 So, perhaps the Privateer paint scheme *is* the WC2 Paradigm. Occasionally we like to report on interesting discoveries in real life outer space. 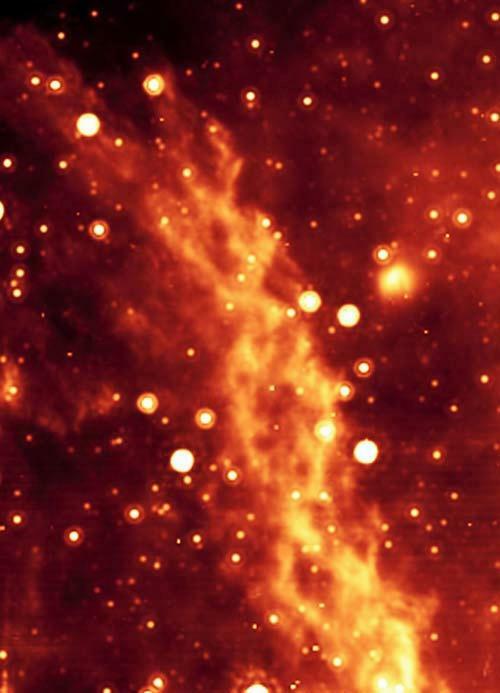 Geebot told us about a neat looking "double helix nebula" that was recently sighted by the Spitzer Space Telescope. The phenomenon seems to be some sort of twisting magnetic field that is pulling along debris that emits detectable infrared waves. The portion visible in the photo below is a whopping 80 light years long and is located near the galactic center. There's been no comment from the World Science Federation yet. You can read more about it here. 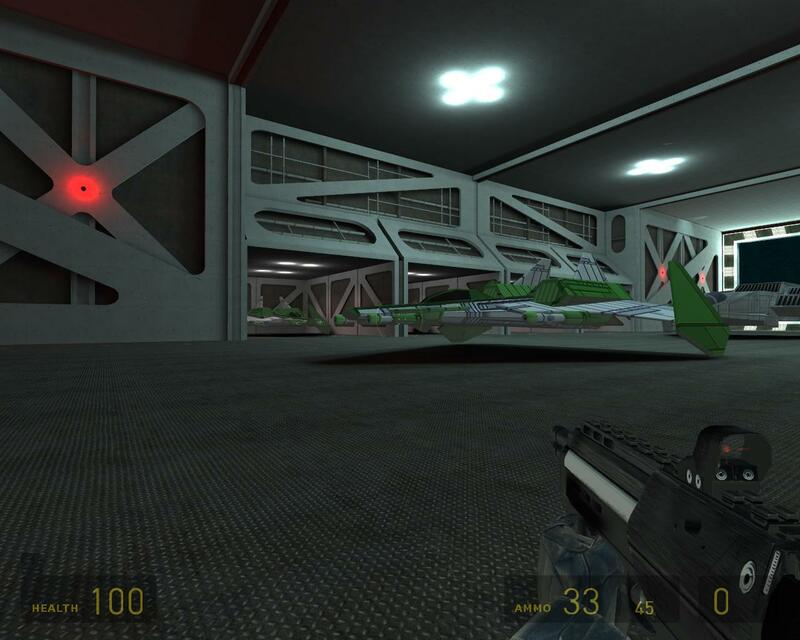 The announcement that HCl is only weeks away from releasing a multiplayer patch for Prophecy has produced a lot of excitement over on the forums. To provide a glimpse of what is to come, HCl has posted a few videos of some recent test sessions with PopsiclePete. Video 1 is 3.08MB, video 2 is 3.05MB, and video 3 is 2.5MB. Hopefully when more people are available to test there will be videos of some of the larger battles. After a year of guest starring tv roles, Tom Wilson will return to the big screen next week in Larry The Cable Guy: Health Inspector. 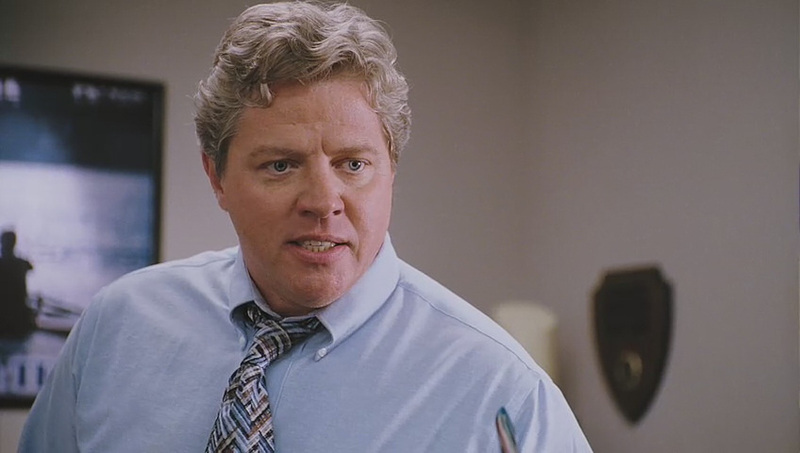 He'll be playing Larry's boss, Bart Tatlock. You can get a peek at him in action at Dave's Trailer Page under the March 13 update. Trailers for the film are available in resolutions all the way up to 1920x1080. 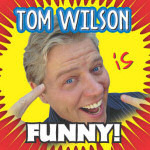 Mr. Wilson's official website is also still taking orders for his new comedy CD. Regular copies are $15. Autographed ones go for $20. There have been both large and small additions to Wing Commander Apocalypse this week. 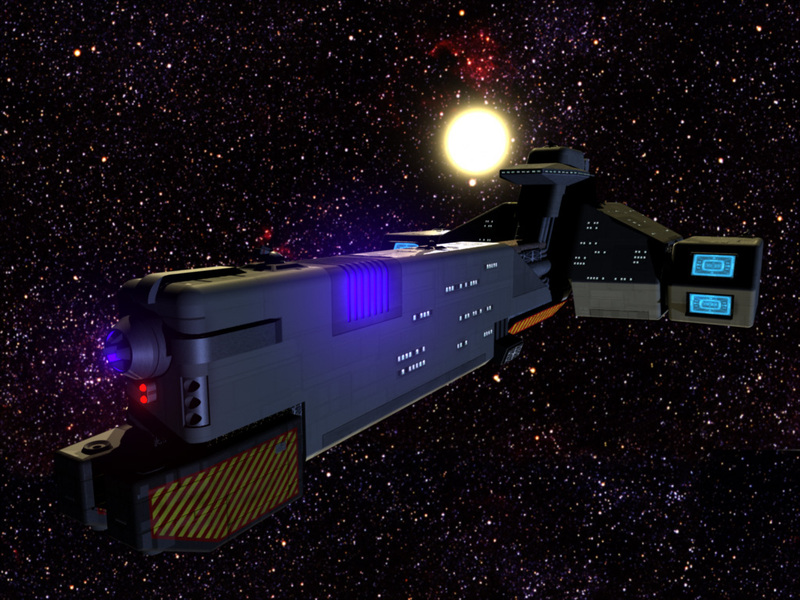 The Dralthi is currently in the middle stages of being retextured with a high res finish, and a massive Tiamat dreadnought has made the jump to the Nexus engine. I asked Exarch to shine a bright light on the Dralthi, but typically it'll be a bit more shadowy while moving through space. The Tiamat, on the other hand, fits right in with the darkness. A future update should help to convey the size of the Nephilim warship with something more familiar for comparison. The Tiamat has a soft, rainbow-colored skin underneath a hard, bone-like exoskeleton that extends over most of the ship. It took a very long time to replicate the Tiamat's skin, and I think it turned out pretty accurate. Progress is being made steadily, and I'm happy to say that I'm working hard to get a playable demo out during Spring break with the handful of ships I have retextured. No guarantees, but stay tuned! Major Striker let us know about an article we'd previously missed over at IdleThumbs. 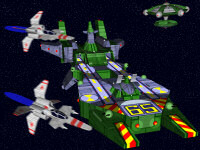 The site recently wrote a nostalgic retrospective on the original Wing Commander Privateer. Somewhere between Elite and Grand Theft Auto, a generation of gamers will forever remember Privateer as their first wide open game. And nothing compares to getting this experience in the science fiction universe that you already know and love. The article has a couple mistakes in regards to Privateer 2, but it also helps direct people to DOSBox so they can get to playing again. And now that Privateer is poised to return soon, hopefully a whole new generation of gamers can enjoy it anew. You can find the full article here. And when you get right down to it, that’s what my experience with Privateer was all about. The feeling of boundless possibility, not the possibilities themselves. What I really, desperately wanted from this game, it could not give to me. I wanted to fly to all the gleaming space stations and planets I had seen in the magazine, to explore them, to get lost in them, to leave them and then find somewhere new to explore and get lost in. But whether it was because of technological limitations, or a limited budget, or because that just wasn’t the focus of the game, all you could do was stop at these places and stare. I blame the artwork for being so captivating and the music for being so melancholy. Whether I was on the drizzly streets of New Detroit, or inside the massive, hollow center of the space station New Constantinople, where you could see spaceships flying in and out and the stars outside swirling as the station spun around on its axis, these sights always hinted at something more. I wanted to become a part of these places, to discover the hidden wonders and secrets that lay buried beneath their surfaces. The WC Saga team has posted a new wallpaper to their website. The 1280x1024 resolution image was designed by gevatter Lars and depicts a Kilrathi battlegroup escorted by Strakha fighters as it approaches what appears to be a jump point. 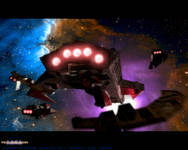 The Wing Commander Saga team is proud to present a new wallpaper by gevatter Lars! Kilrathi starships are designed to acheive both lethal functionality and demoralizing psychological impact. This new scene displays the intimidating might of the claw-like Kilrathi capital ships while it simultaneously evokes the pathos of the mysterious and deadly Strahka fighter, whose stealthy ferocity is laid out in stark contrast to the ethereal beauty of deep space. The WC Saga developers have previously released a number of pretty wallpapers, but I think this one is one of their best so far. BrynS tipped us off about the latest accolade for Origin founder Richard Garriot. The International Game Developers Association has announced that he will receive a Lifetime Achievement honor at the 6th annual Game Developers Choice Awards next week. It's only been a few months since the Academy of Interactive Arts Sciences announced that 'Lord British' would be the 9th inductee to their prestigious Hall of Fame. He's been a renowned developer for more than a quarter century now, and he was even the Guest of Honor in his twenties at DragonCon 1987. Garriott is currently developing Tabula Rasa in Austin. The IGDA has prepared a short biography that you can find here. Son of Skylab and Spacelab astronaut Owen K. Garriott, Richard took an interest in computers at a young age. 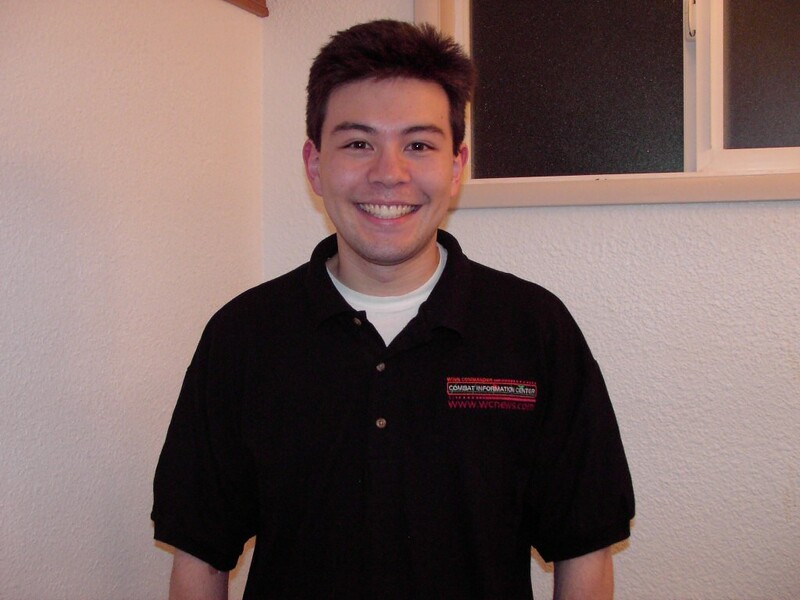 He began programming games in high school and produced his first published game, Akalabeth, at the age of 19. While attending the University of Texas at Austin, Garriott began developing one of the most successful, longest-running game series of all time: Ultima. Garriott and his brother formed Origin Systems, Inc. to begin publishing their own games, and the company was acquired by Electronic Arts (EA) in 1992. 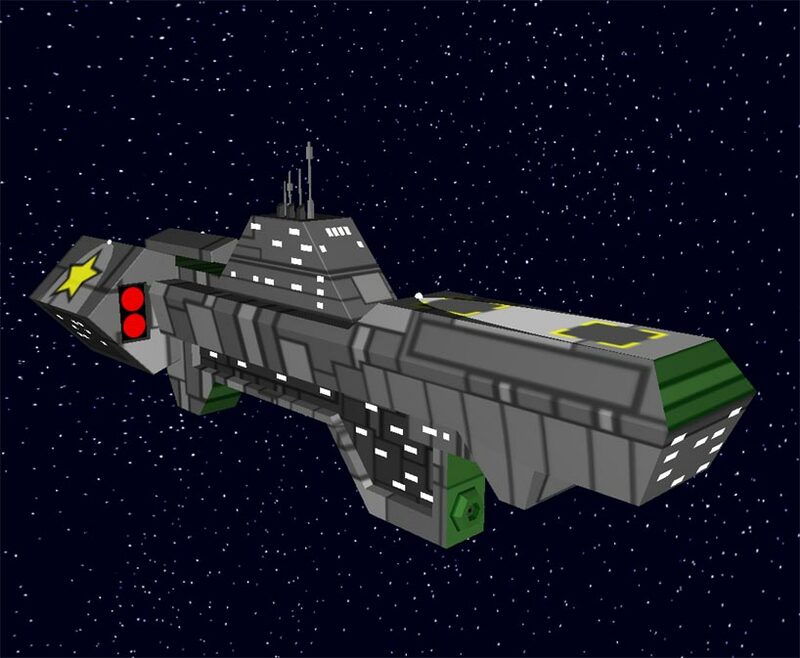 Plywood Fiend has strung together another music video to get fans in the Wing Commander mood. 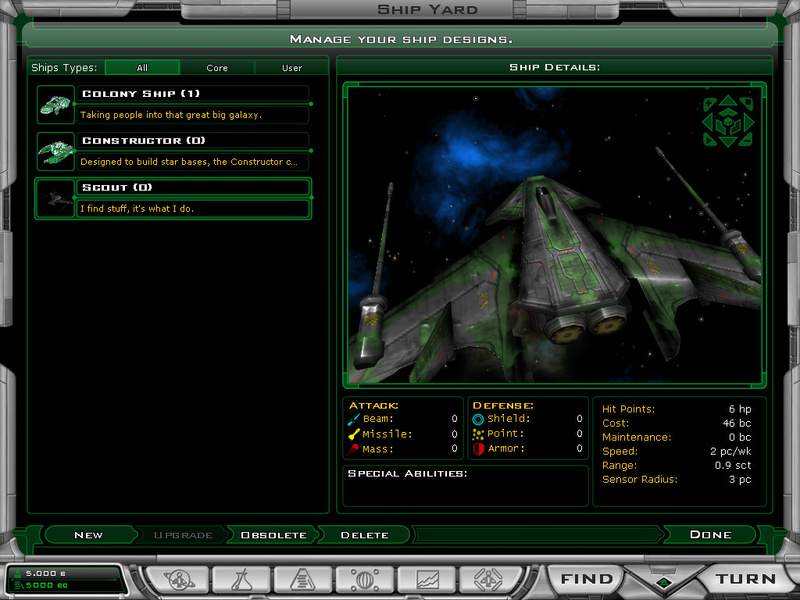 This one is almost entirely action oriented with a variety of fighter duels, personal conflict and capship engagements depicted. The music to match is "End of All Hope" by Nightwish, and Wing Commander 3, Super Wing Commander and Wing Commander Academy all contribute to the commotion. Although there's not used very heavily, the SWC clips are neat for a change. You can grab the 23 meg wmv here. GameSpot reports that BioWare has created a new division in Austin focused on an unannounced massively multiplayer title. 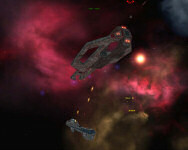 This is the second new mmo developer to make the news in the last week. You can't set up shop in Austin without including someone who once worked for Origin, and this new studio is no exception. Rich Vogel, a producer of the original Ultima Online and Privateer Online, is one of BioWare Austin's leads. Former EA vice president Gordon Walton, who oversaw the ill-fated Ultima Online 3, will be joining Vogel. Located in a longtime hub of game development, BioWare Austin already has a veteran management team in place. James Ohlen, BioWare's current creative director and former lead designer of Star Wars: Knights of the Old Republic and Neverwinter Nights, will become lead designer at the one-game shop. Richard Vogel, former SOE vice president of product development and a senior producer at Origin when Ultima Online launched, has also been offered a high-ranking position. 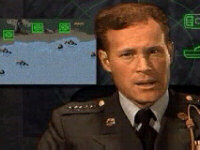 Also on board is another MMORPG vet, Gordon Walton, a former VP at both SOE and Electronic Arts. The studio is also filling positions for programmers, designers, artists, animators, writers, and world-builders. While the Gemini Gold team is mostly in a holding pattern awaiting certain technological updates, they have been working on a couple of long-awaited graphical tweaks. The mission computer has been sharpened up and almost all of the interior bases have been rerendered. We've also posted a shot from the new splash screen that will display after your pilot is killed. Some basic ground work for 'talking head' custscenes has been initiated, and a better damage system for ships has been written. No potential release date for the game's next update has been decided, but you can help pass the time by providing feedback at one of the project's message boards. There were a few especially exciting announcements for the Wing Commander community last week. Since the pace of news moves so fast, we're already running across people who missed some of the announcements that were made. Here's a little summary for a couple major things. HCl is currently in the testing phases of a multiplayer patch for Wing Commander Prophecy. The original online component was removed from the game prior to release in 1997, but bits and pieces of related code remained in the final product. 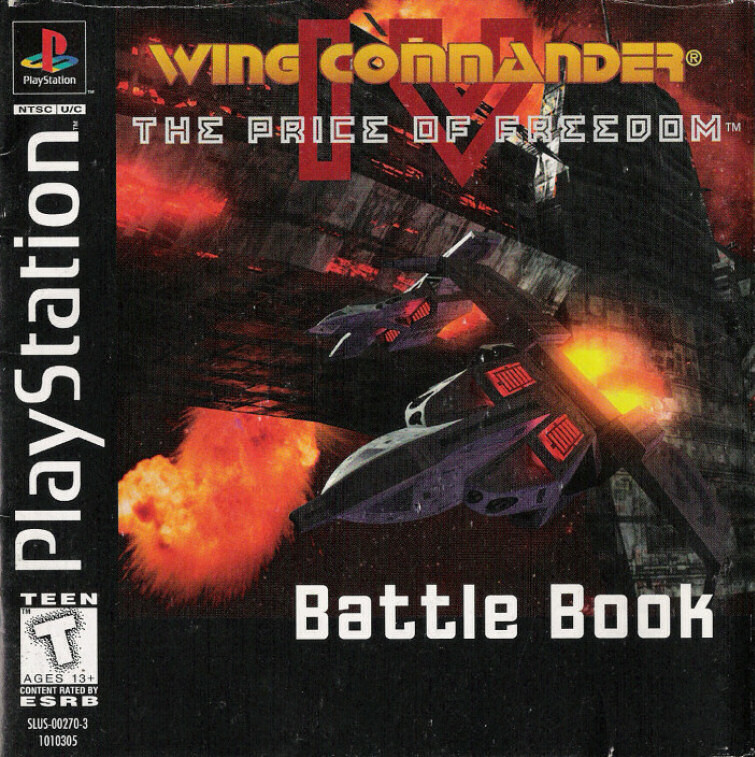 HCl is now working with several other techno-geniuses in the Wing Commander community to turn this into an another exciting way for fans to battle it out on the internet! EA is partnering with the GameTap online distribution service to premiere a small number of its classic franchises. 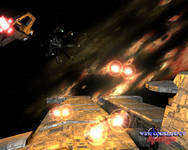 Sim City, Command & Conquer, Ultima and Wing Commander Privateer will be flagship titles for EA's role in the program. Although fans have developed a variety of methods to play their favorite WC titles on modern computers, this new delivery method will allow a whole new generation of players to experience Wing Commander without any complicated setup techniques. Everyone is hopeful that the positive feedback generated from this will help hasten the development of the next all-new Wing Commander game. 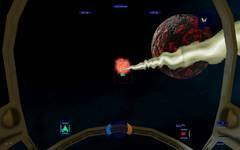 ColonelFireball is currently working on incorporating details from the Wing Commander universe into the new strategy game Galactic Civilizations 2. The plan right now is to modify the primary Drengins and Terran Alliance factions into the Kilrathi Empire and Terran Confederation. The home systems for each GalCiv race will be reworked to include landmarks you'd expect from their Wing Commander counterparts. Fireball is trying not to be overly ambitious and his plans for new ships are currently flexible. 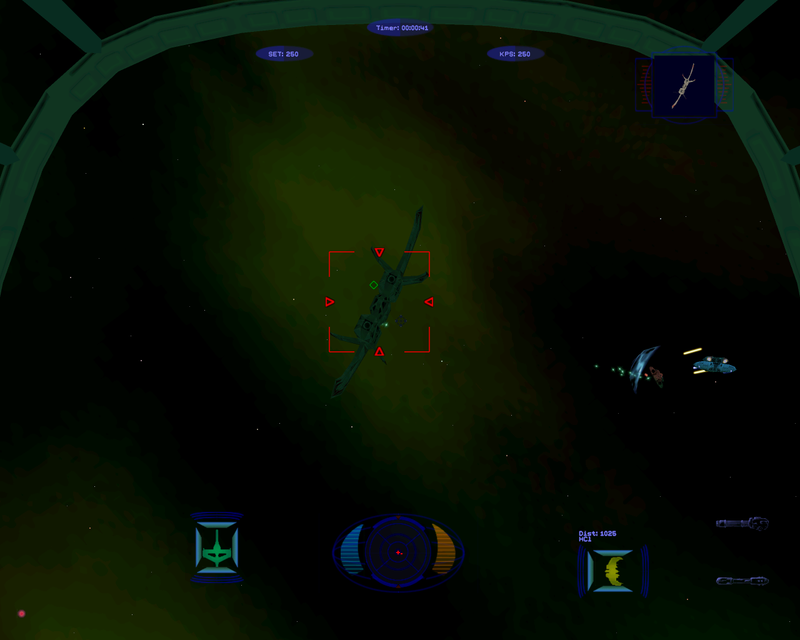 He has been able to adjust the color palettes to reflect the green and red/bronze tones from the Wing Commander 2 era. 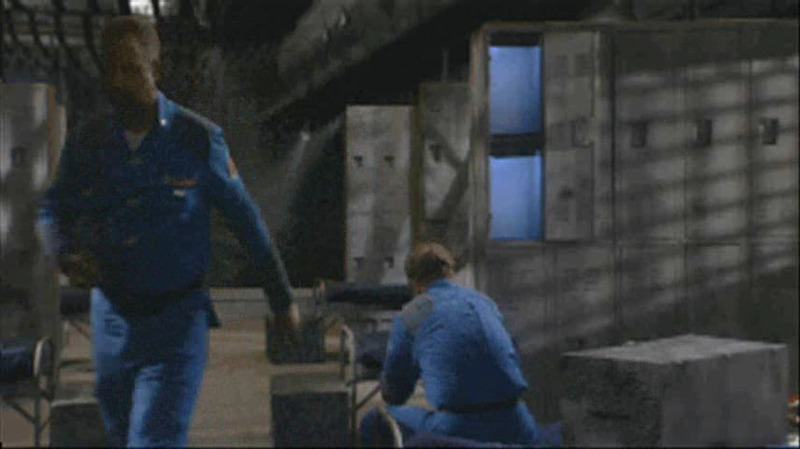 A few famous Wing Commander tracks should also beef up the background music. 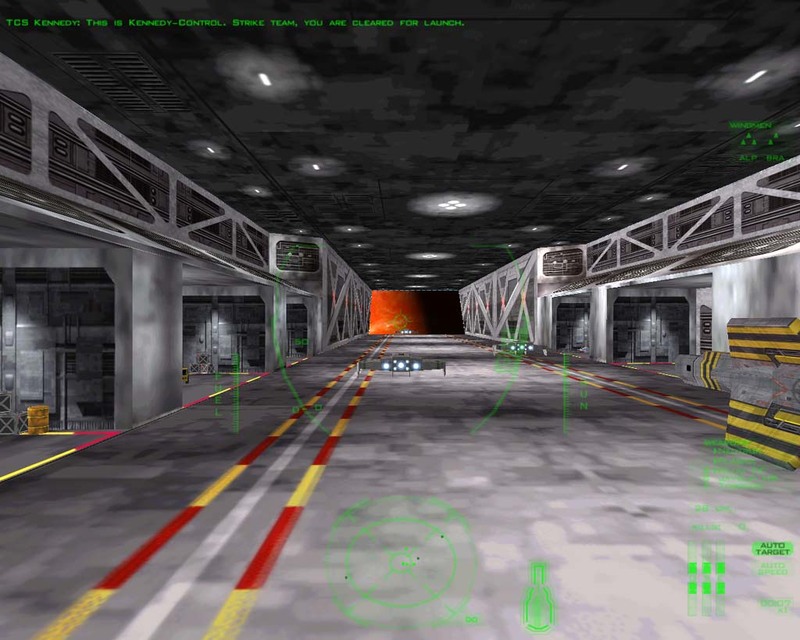 The overall goal of the project isn't to achieve a total conversion, but rather, to complete a nice aesthetic makeover that adds a few fun and familiar elements for Wing Commander fans. You can follow the progress and provide assistance at Crius.net here. 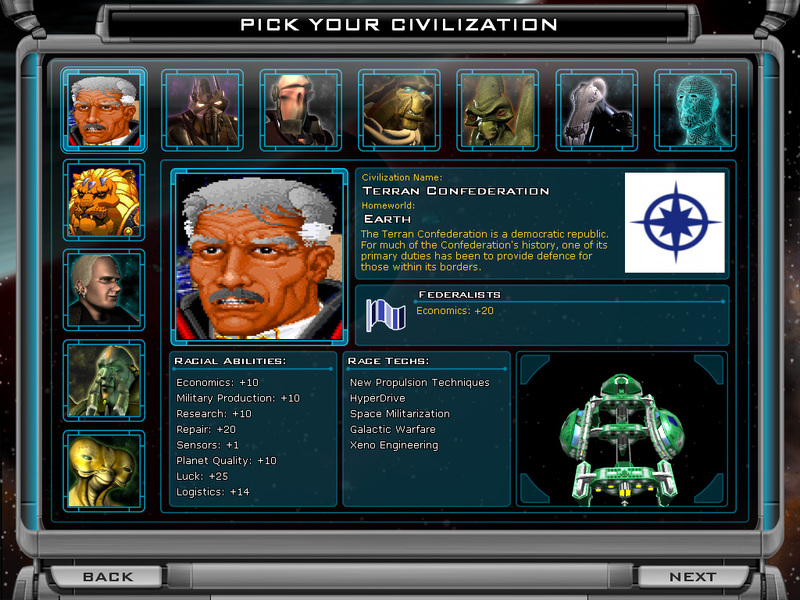 I had very small success in modding GalCiv2. 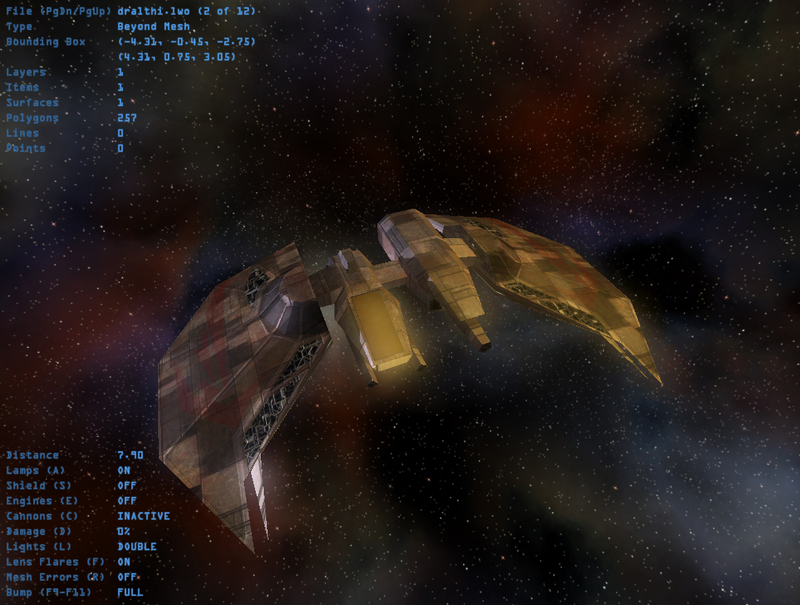 The Wing Commander 1+2 style is my intention, that's why the modd looks so far as it looks. And I remind you that I have NO moding experience before. Thanks to "gevatterLars" the problem with the "Terran Confed Race Modd" is resolved. NinjaLA has teamed up with AD to sketch out some concept soldiers for the Half Life 2 project. He's inked the first design and it's looking pretty sharp. 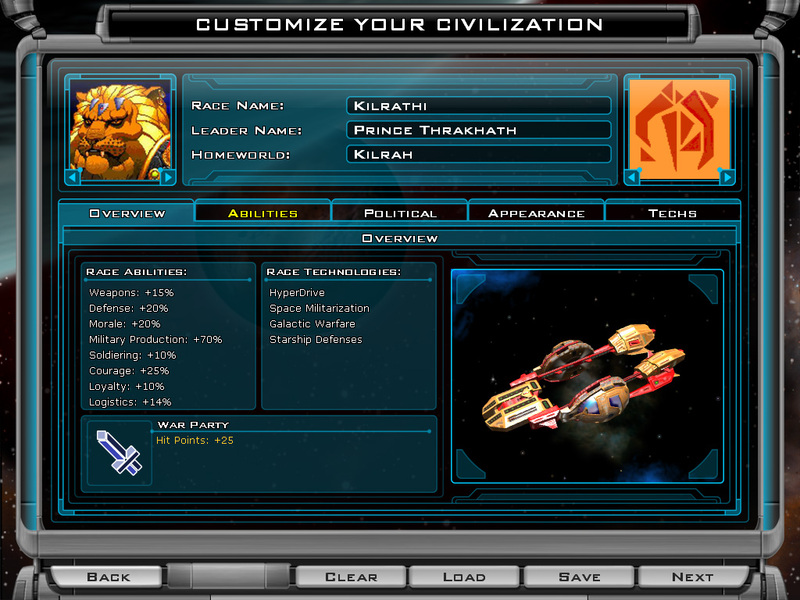 I decided to start with a Kilrathi. 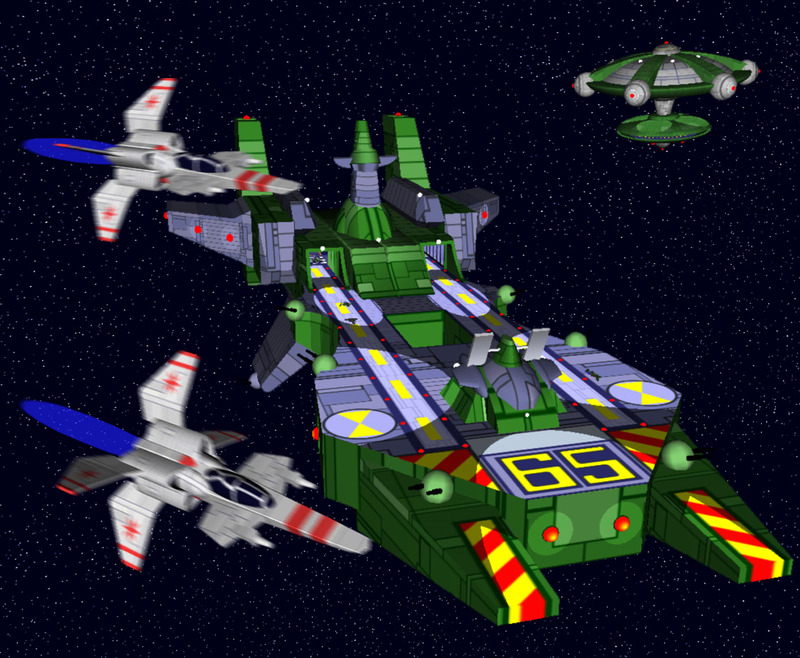 This image is a compilation of concepts from Wing Commander II, Wing Commander III and the Wing Commander movie. 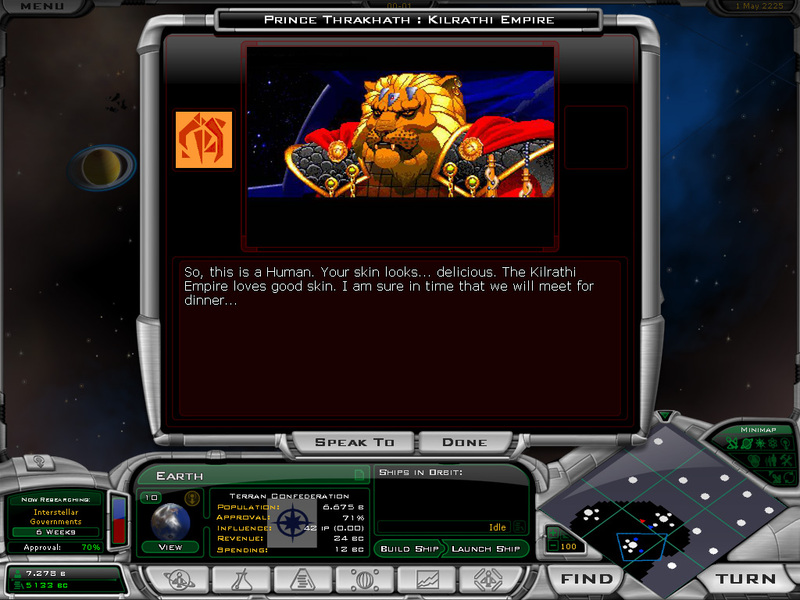 The face draws heavily from the WC II style of artwork (mostly Thrakhath) with body proportions taken from Hobbes in Wing Commander 3. The armor is heavily derived from the combat armor worn by the Kilrathi grunts. All told I spent about 8 hours yesterday on various sketches of Kilrathi to get it to have the right feeling. 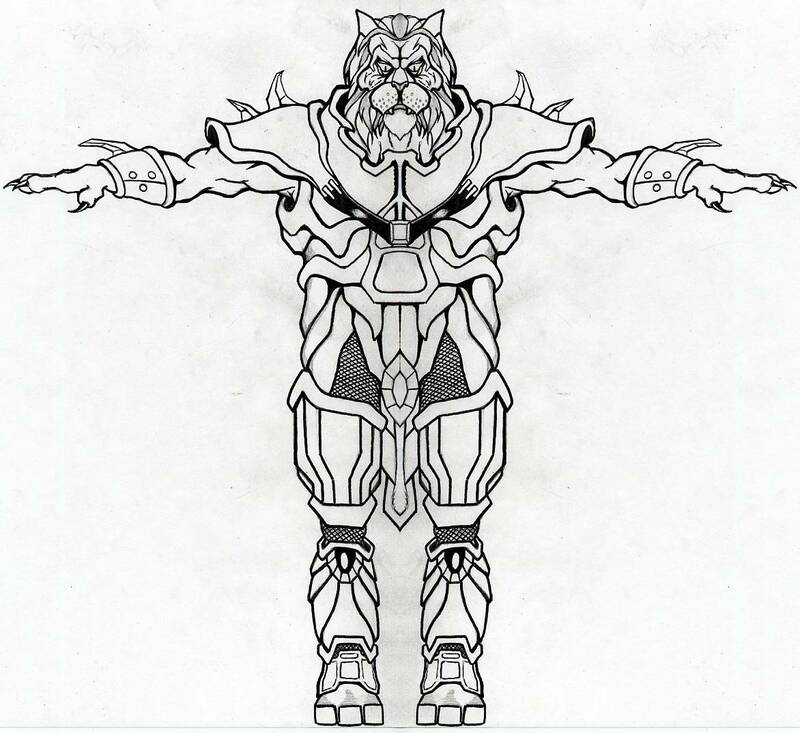 This particular image was created by drawing half a Kilrathi and then mirroring the image to make it properly proportioned for use by a 3d modeler. I should be producing a few more Kilrathi sketches and a couple of Confed Marines as well. You saw Marc's Fralthra the other day... now you can play with it yourself! Marc was kind enough to send along the 3D model in several formats, which you can download here (726k). 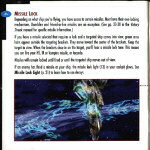 Here's some background on the Fralthra for those unfamiliar with the ship! Measuring by gross tonnage, the Fralthra-class is Kilrah's second heaviest cruiser... measuring by force projection alone, they have no equal. 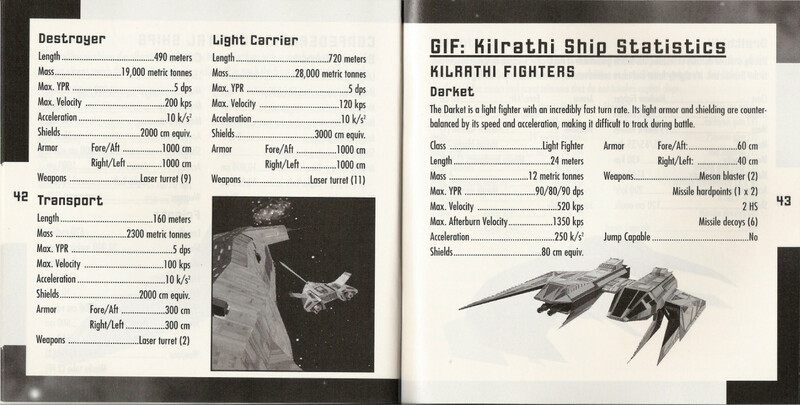 Sporting a 40-fighter complement and an array of anti-matter guns, the Fralthra was second only to a true Kilrathi carrier in offensive power. 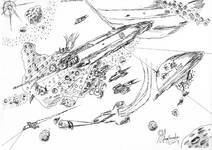 In fact, Fralthra formed the nuclei of the five carrier groups which attacked Ghorah Khar in Special Operations. At the same time, they exist in much smaller numbers than their counterparts. 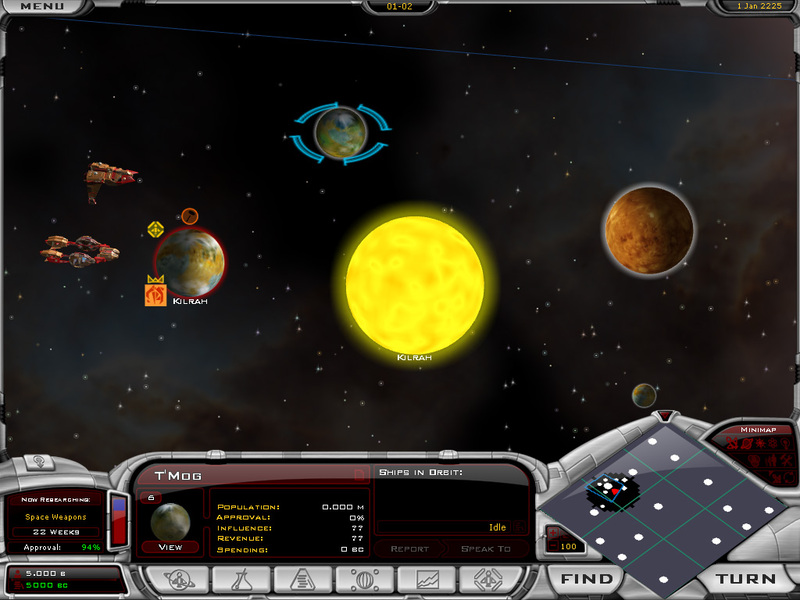 While the Empire produced Fralthi by the thousands, a quote in Fleet Action indicates there were only twenty heavy cruisers in service in at the Battle of Earth. 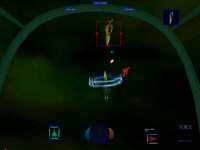 Several Fralthra appear during the course of Wing Commander II, including two during the game's initial Gwynedd series. The player isn't allowed to kill them, though: because your Ferret lacks torpedoes, you must instead protect the Concordia and her bombers while they destroy the Fralthra. 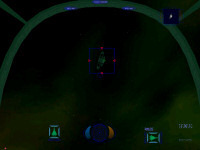 An interesting surprise after being able to gun down the entire Kilrathi Navy yourself in Wing Commander I! The Fralthra's rounded appearance was anathema to the 'irregular blade' look established for Kilrathi ships in Wing Commander Armada and beyond, so it has fallen somewhat by the wayside in terms of canonical appearances. 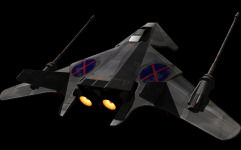 Still, it does boast one unusual sighting: a stylized Fralthra is seen launching a Jalkehi heavy fighter on the cover of the FM Towns port of Wing Commander 2 (seen below). ... but wait, there's more! Remember Marc's WC2-style Coventry-type Destroyer (details here) and Victory-type Light Carrier (details here)? 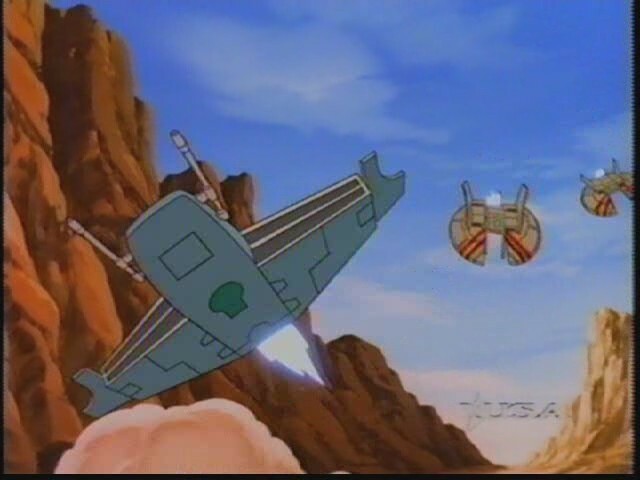 Well, they've been joined by the obvious third: a WC2-style Ajax-type Cruiser! Check it out below. You can also find a spinning animation of his Ranger here. Awesome stuff! Several days ago we reported on the news that Electronic Arts would be releasing Ultima I-VI through the Gametap online service. 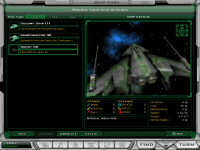 At the time speculation was that they might release Wing Commander titles in the future... well, the future is here! 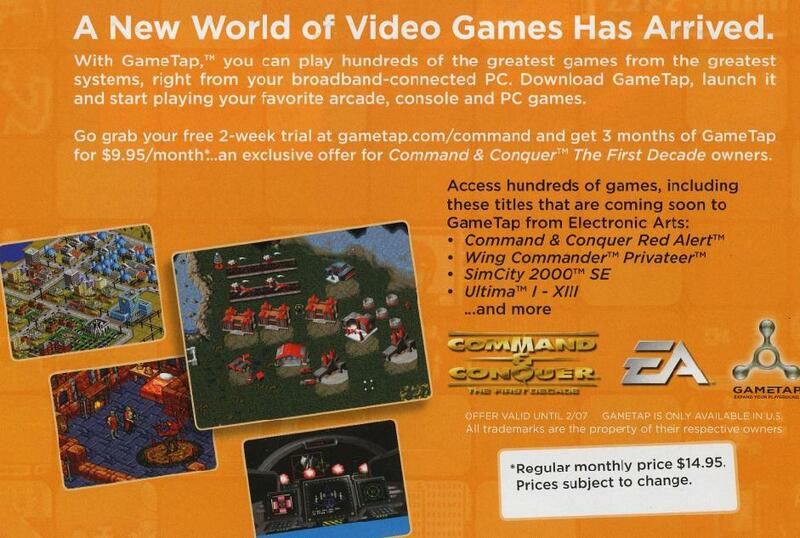 Fatcat reports that his copy of Command and Conquer: The First Decade include a flyer advertising the service... which confirms that Privateer will soon be available! 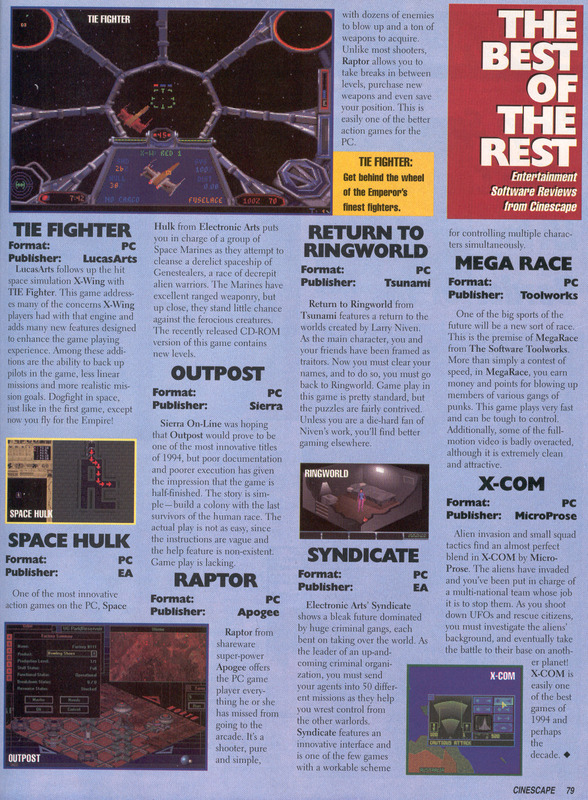 This is amazing: Privateer -- no, Wing Commander Privateer -- listed right alongside the earliest iterations of Electronic Arts' premiere modern franchises (Ultima, Command and Conquer and The Sims). This is a very positive indication that Electronic Arts sees a future for the franchise... and even more than that, fans need suffer through confusing DOS emulators and poorly conceived remakes no longer: Privateer will be available! Things are looking up! A Privateer screenshot also appears at the GameTap website here. Ed Filho noticed that NCSoft has inked a publishing deal with Spacetime Studios. NCSoft's North American operations are run in Austin by Origin co-founders Robert and Richard Garriott, and Spacetime was recently founded by a number of former Wing Commander developers. They are currently working on an unannounced massively multiplayer title. A space themed MMO game would both fill in a critical gap in NCSoft's lineup and take advantage of Spacetime's particular experience. I'm sure we'll be hearing quite a bit more about them in the future. AUSTIN, Texas, March 8, 2006—NCsoft® Corporation (KSE:036570.KS), the world’s leading developer and publisher of online computer games, announced today its latest partnership with a new company in Austin. 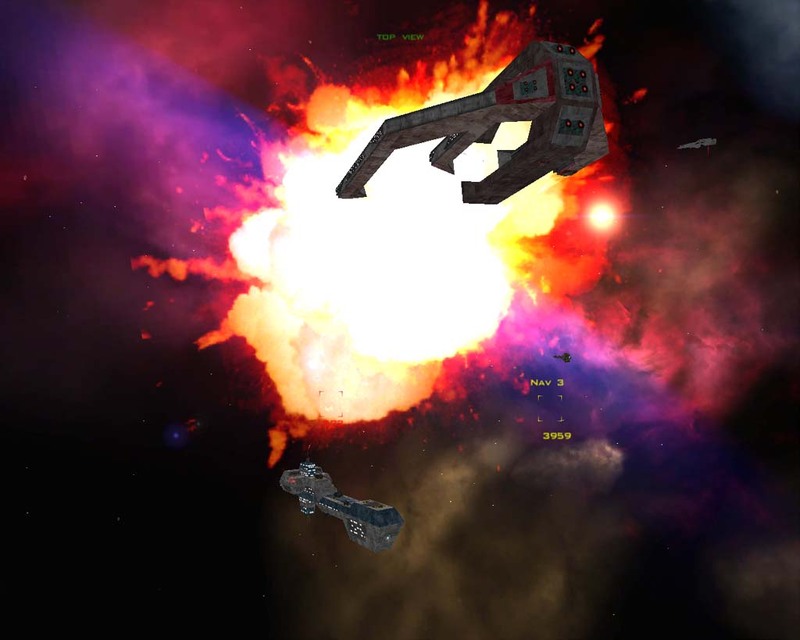 Spacetime Studios™, composed of a core team with previous leadership roles on successful franchises such as Privateer, Wing Commander and Star Wars Galaxies, will publish its next game under the NCsoft brand. 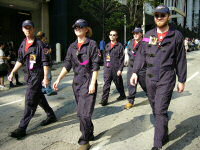 You can read more about the CIC's annual visit to Dragon*Con here. Come help us show the (Confederation) flag! 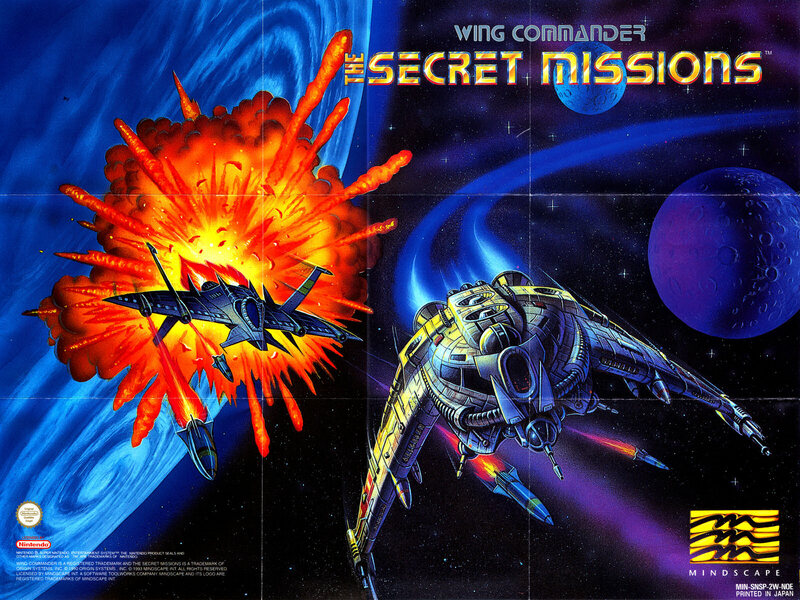 There have been quite a few amazing Wing Commander posters made over the years. Some are more rare than others, and a few were never even mass produced. One of the earlier designs (the earliest being the blueprints included with WC1) was included with the Super Nintendo version of The Secret Missions. It features a super stylized Hornet chasing an exquisitely detailed Salthi. Or is it? 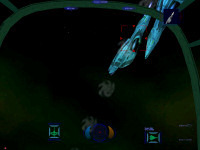 The Jalthi model was actually removed from the SNES WC ports and a green Salthi graphic was used in its place. If this design looks familiar to you, we first highlighted a portion of it that was used in a September 1993 GamePro Review. The thumbnail below links to a desktop sized 1600x1200 shot, but high resolution fanatics can grab a 13 meg 5000x3500 pixel version here. Just over a month since the grand opening of HoldingTheLine.net and the project's seven year anniversary, the HTL site has received its first new chapter. It has been a little while since the previous chapter, but I'll let Raptor explain the reasons behind the delay. I realise that it's been a good long while since we last had an HTL chapter published. There are a lot of reasons for the hiatus, but the main one is that the work on Holding The Line Dot Net was taking up most of the spare time I normally spend on editing chapters and co-ordinating the storyline. Now that the site is up though, normal service can resume. We've got a couple of major storylines coming your way as we wrap up the battle, starting with this tale, and followed by the sequel to Check And Mate. 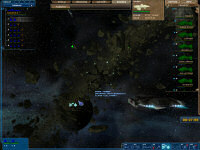 Speaking of Holding The Line Dot Net, the first major update will be unveiled very soon. 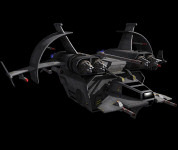 Several of our past stories in the Finale series have hinted that the Auriga group has been fighting the deadliest ship in the Nephilim fleet, a Kraken ship killer. Now, you get to read that story in a great four parter created by the Forge writers. Enjoy. Long time fans of the Valley Forge group will know of their talent for writing epic storylines, and this one is no exception. It starts way back on the on the 18th, shortly after the fleet jumps in the Nifelhiem system, and continues on till it tracks alongside Check And Mate late on the 19th. Marc has taken up our old challenge and has fixed the original Fralthra model. Be sure and click on that first image: it's a large animated gif of a spinning Fralthra! First off, my 3D program was able to read the vertices information out of the original file (vertices are those little points that make up all the polys in a 3D model.) Using those points as a guide, I modeled out the simple shapes that where needed. After that, it was a simple matter of searching all over the internet (mostly the Crius forums) for the images that would tell me just how to texture this thing. Exarch continues to impress Wing Commander fans with fancy vessels for his Nexus mod, Wing Commander Apocalypse. His latest conversions are the Fralthi II and Midway classes. The Kilrathi cruiser is pretty much just a straight import with some bump mapping, but the megacarrier is sporting a great new high resolution finish. Exarch has written a basic story outline, but the plan is for this to be a multiplayer skirmish pack first. 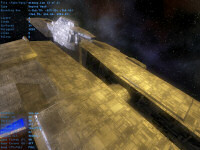 Wing Commander: Apocalypse is a total conversion mod for Nexus: The Jupiter Incident. It is meant as an unofficial sequel to the events in Wing Commander: Prophecy and the Secret Ops expansion. 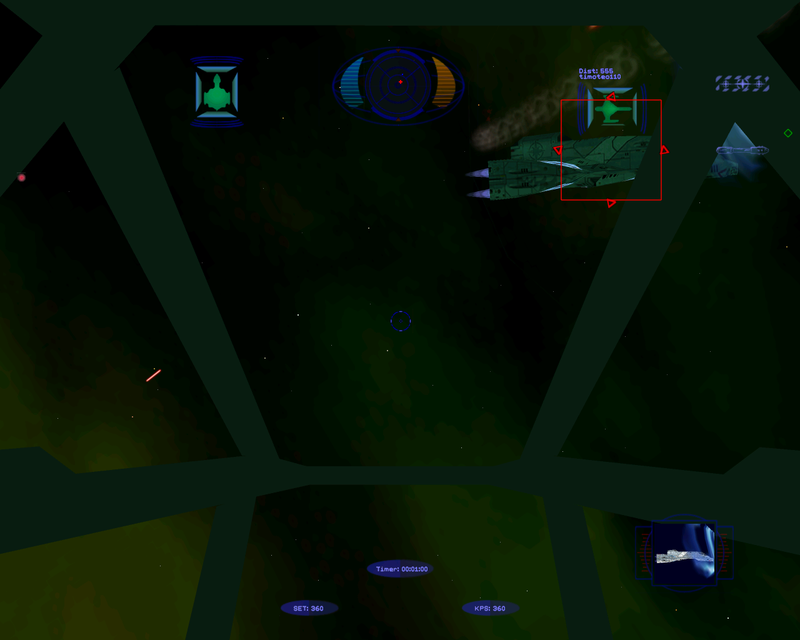 Despite Wing Commander being a flight simulator, Nexus: The Jupiter Incident was a prime choice for my vision for this mod. 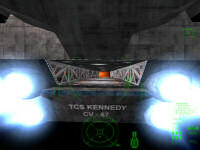 For one, it gives Wing Commander fans something completely different to play with. 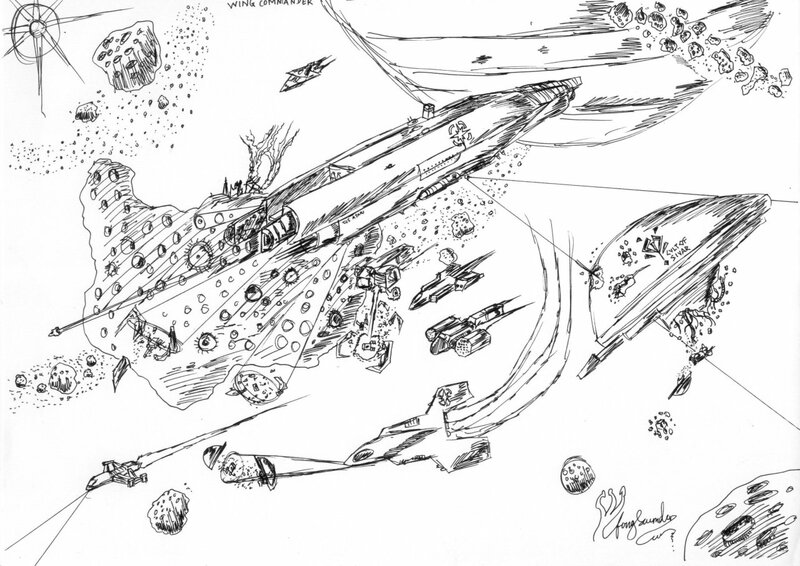 My plans are to have the Nephilim return in much greater force with a large fleet of capital ships at their disposal; thus, Nexus was perfect for capital ship battles such as these. And Nexus is just a beautiful looking game. Yes, I am the only person working on this mod. Sometimes it will be difficult to put out updates with school and work happening at the same time. However, I am just as excited about this project as everyone else, and despite being alone, I have been making substantial progress in a short amount of time. I don't plan on this mod dying, nor do I believe it will take years to complete. Many people are anxious awaiting news on HCl's Prophecy Multiplayer project, but the wait doesn't have to be quite so long for everyone. One of the classic holy grails of the Wing Commander community was to get Wing Commander Armada working online. HCl finally achieved this major milestone last year. 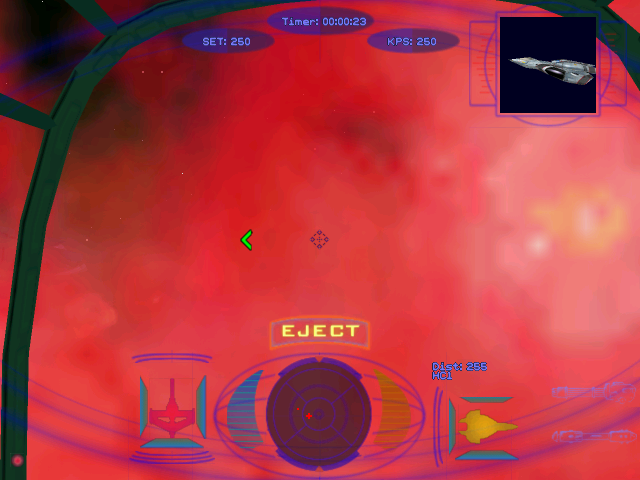 While you're waiting to blast eachother in the Vision Engine, now's a great time to practice against live opponents in the original Wing Commander multiplayer game. You can find instructions on how to get set up here. 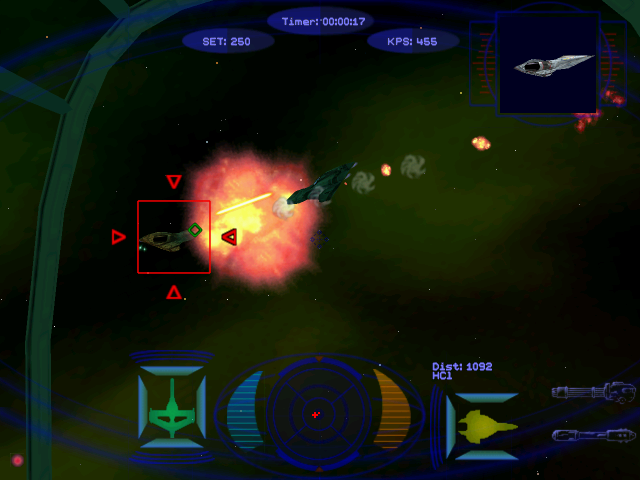 When Wing Commander Prophecy was released in 1997, there was one notable flaw: the promised multiplayer component was missing, cut some months earlier in order to release the game when promised. 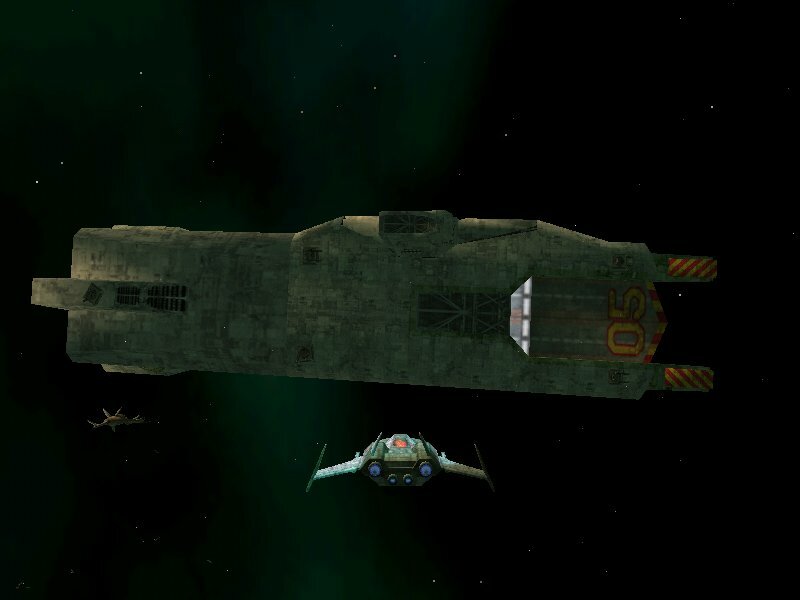 This was a huge disappointment for Wing Commander fans, who had already formed online squadrons, bragged about their flying abilities and prepared to do battle in space. 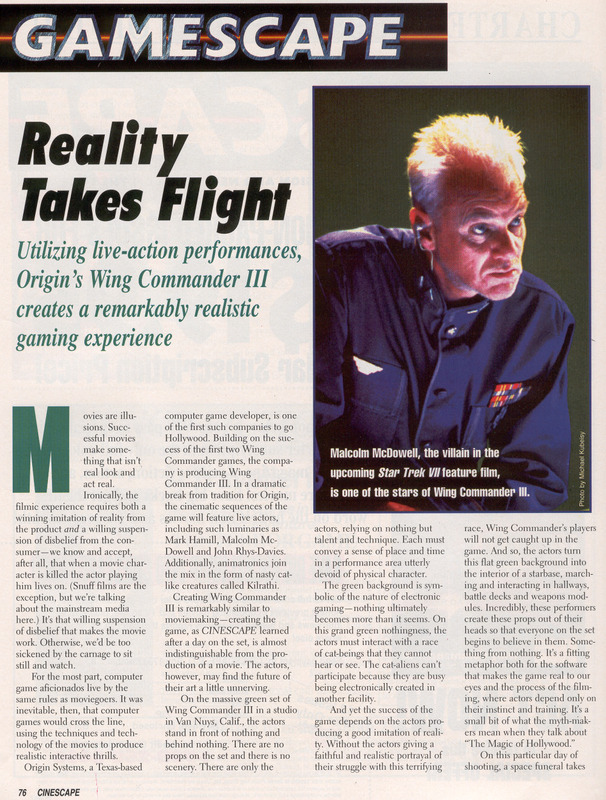 It was a crushing blow to the franchise as well: for all its grandeur, Wing Commander Prophecy could not compete in sales with the likes of multiplayer-capable games like Quake II. 'Would Origin issue a multiplayer patch?' was the question on everyone's lips. No, Origin GM Neil Young replied, it was technically impossible... but a future game would add the capability. Ultimately, neither outcome was to be. Until today, some eight years later: we are proud to announce that HCl has accomplished the impossible. 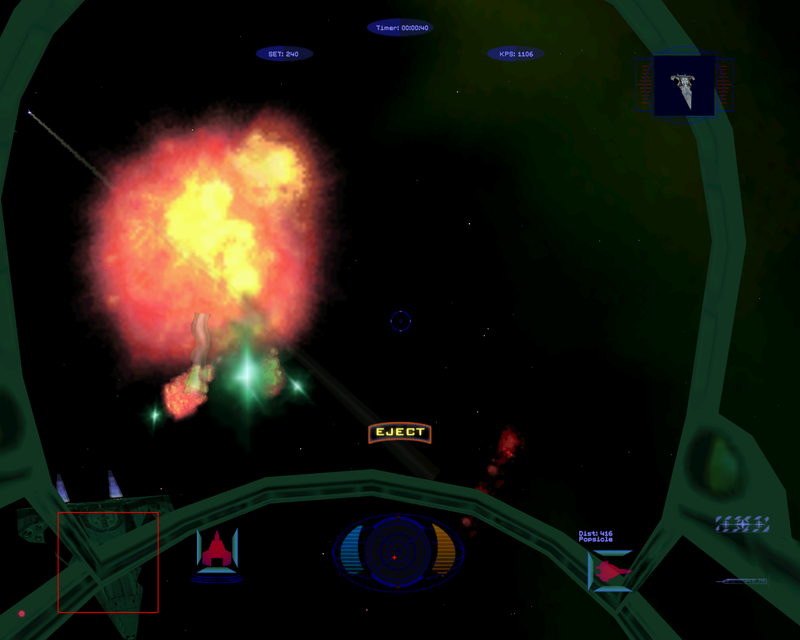 He has developed a patch reintegrating multiplayer into Wing Commander Prophecy. This is only the announcement - the project is still in testing. The current expectation is that it should be ready for release in about a month. 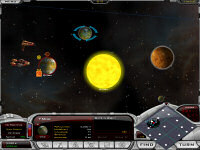 It must be stressed that the software has already begun testing and that it works: during one attempt, four players in different countries managed to play the game smoothly together. 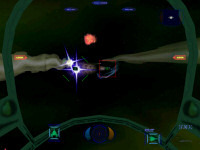 In others, two and three players have played the game together on dialup connections. What remains now is simply to squash remaining bugs - something HCl is very, very good at. Here's how it works: a host runs a special program to start while other players run a secondary utility which links them all together. 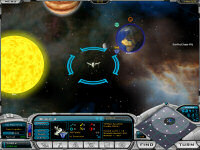 The host launches Prophecy and everyone meets in the Simulator Pod for multiplayer combat! The importance of this event can not be overstated- the single most asked for feature in Wing Commander has been added back where it belongs... by the fans! 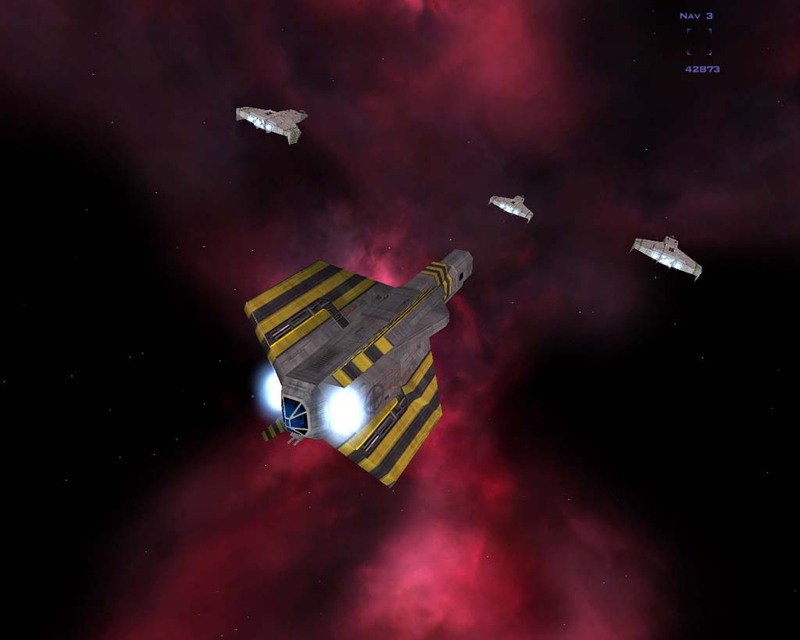 Look out, world: Wing Commander is back! HCl has updated his website about the project - you can read all the impressive details here. Not satisfied with accomplishing the impossible by integrating multiplayer in to Prophecy, HCl has simultaneously been working on the latest version of his high res patch for Prophecy. Aside from fixing bugs from previous versions, the new patch also includes support for widescreen resolutions. As can be expected, it looks incredible. We've included a full size 1MB, 1680x1050 resolution version of the first screenshot below here, since the smaller version linked below just doesn't do it justice. The new version of the patch should be finished in about a month, just in time for the release of the multiplayer patch. Today we have mock ups of the various guns that will feature prominently in WC Pioneer. 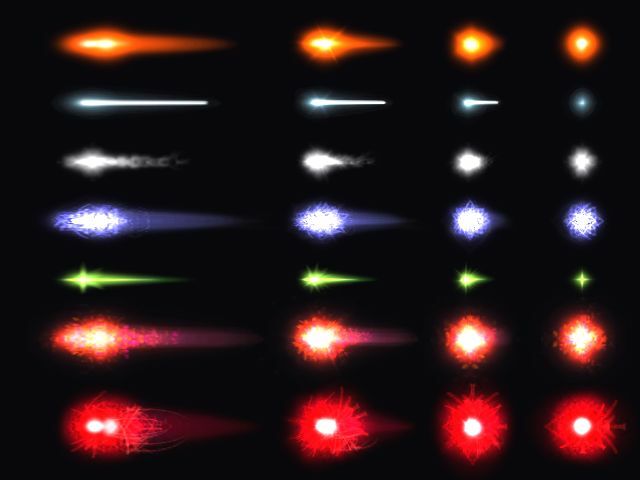 From top to bottom, the various barrels represent the laser, photon blaster, mass driver, meson gun, neutron gun, plasma gun and particle cannon. 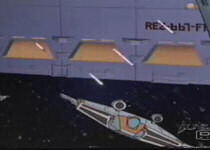 The various weapon effects are sitting next to a couple Kilrathi guns and the tractor beam. 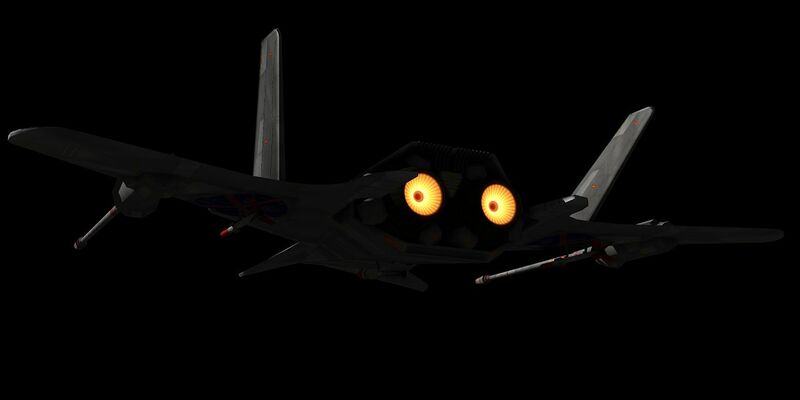 Howard Day has also loaded up a Hornet and the game's Hydra with various weapons to give eager fans a taste of how the fighters will look when prepped for battle. You can find more shots and provide feedback at Crius.net here. Sharp eyed viewers have noticed there's a new little section on the front page of the CIC. Kris put together a little program that displays the five most recent pilots' scores from the Standoff Simulator. You can see them below the first day's news. If you'd like to get in on the action, complete directions are available here. In the future, the score box should pull information from a wider range of missions and sources. And it's up to you to keep it fresh. Good luck improving your scores! Here's the top ten as it stands today. There's been quite an increase as people get more practice in. AD has successfully begun importing fighters to his Light Carrier flight deck level for Half Life 2. He's still playing with the sizes and minor graphical effects, but the results so far look fantastic. The final shot below features explosion damage from a tossed grenade. Check out the starboard fin. Ducking behind these ships sure looks like fun! I finally figured out the process for getting ships into HL2. So far it works best with 3DStudio Max. Thanks to some help from Bob and a Rapier from Marc, I can show you I'm not lying. It's hard to see in screenshots, but the glossy paint effect is neat. You can see world geometry reflected on the ship. The Electronic Arts vice president of sales for Europe has predicted that virtually all entertainment media will be available via download within ten years. In an interview with GamesIndustry.biz, Dr. Jens Uwe Intat said that music, movies and video games will all be primarily served by distribution systems such as EA Downloader. The company currently sells expansion packs via the service and is also a major partner is offering trailers and demos via XBox Live Marketplace. You can find the complete article here. Dr. Intat told GamesIndustry.biz that ten years from now "CDs, DVDs and boxed games will be as antiquated as cassette tapes and vinyl records." "Secondly, there will always be - well, always is a little too far-reaching maybe, but for a very long time there will still be distribution of physical products. We should not underestimate the value of the reach that we do have today with our products - the impulse purchases that people are making, and that there are a huge amount of consumers out there who still want to buy physical products. The gift market also, the parents and grandmothers who still want to purchase presents for kids, and will still continue purchasing products in physical form," he concluded. Marc, the designer of yesterday's fancy destroyer, has a new wallpaper for everyone. This image is a bit less busy than his last scene, but it's just as majestic. Two P-64 Ferrets dash in front of the camera as the TCS Concordia launches fighters near a space station. 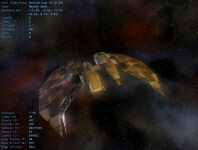 Marc's next project involves reworking similar models for the upcoming Freelancer mod, Wing Commander: Epsilon Sector. The Interactive Map Project has received several more incremental upgrades over the last month. Zalmodegikos has restructured how data will be held within the map. This should allow details about each system to be stored and available for retrieval. 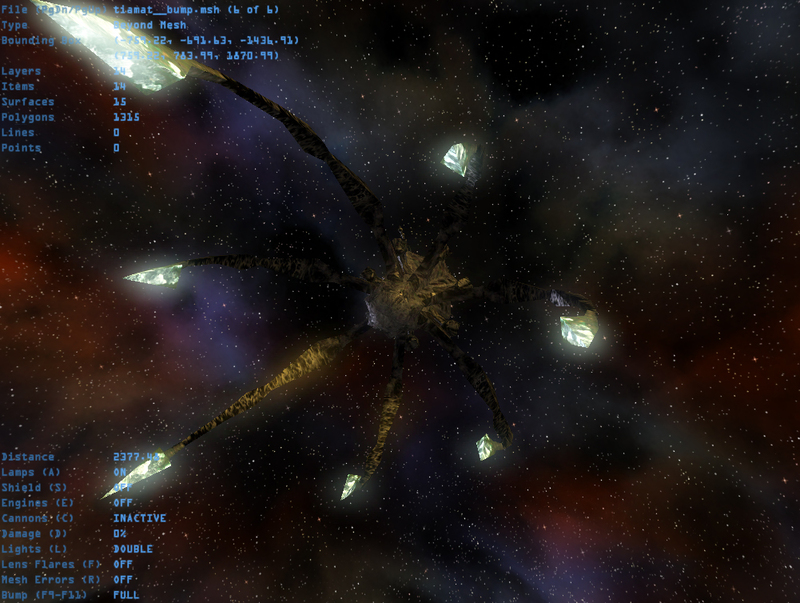 Users will eventually be able to see objects within a system, if someone details items at that level. Zooming in and out has also been improved. You can play around with the map here. Flash 7 is required. Now when you select a part of the map, you can zoom to that area, center it to the screen, get a sortable list or perform different operations with those systems. Valiant-class Destroyer: The Valiant-class is largely unknown. It was mentioned only briefly in Wing Commander: Action Stations. By the time the war started in 2634, they were already old: Ensign Tolwyn was surprised to notice "an ancient Confed Valiant class destroyer" at Gar's Emporium. 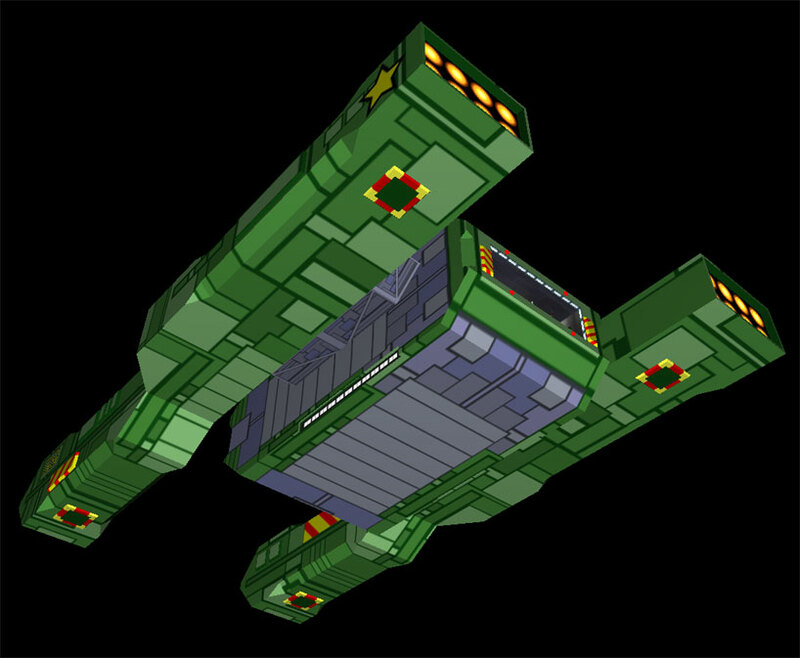 Achilles-class Destroyer/Transport/Fighter Transport: Achilles-class hulls appear to be the workhorses of the fleet in Wing Commander Academy. The ships serve as destroyers (TCS Ajax), transports (TCS Suffolk) and Fighter Transports (TCS Morgan). 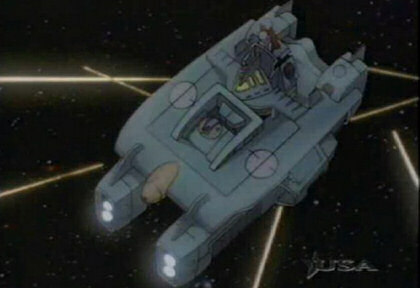 An Achilles-class ship also appears in the show's introduction sequence. 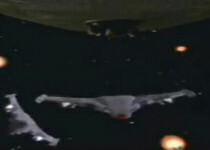 The ships carry three Dual-Mount Laser Turret, one Single-Mount Laser Turret and one Dual-Mount Missile Turret... along with a 19-ship fighter complement. The Achilles-class should not be confused with the later TCS Achilles, a Heavy Cruiser destroyed by the BWS Intrepid shortly before Blair's defection... nor Achilles, a mining station in the Troy System... nor "Achilles," a Tiger's Claw pilot in 2654. Exeter-class Destroyer: The Exeter-class was the first destroyer we ever loved... or, at least, the first one we ever saw: other than the Tiger's Claw, the Exeter was the only Confederation warship seen in the original Wing Commander. Notable Exeters include the Carraway, the Formidable, Gwenhyvar, Johann, Mitchell Hammock, Oregon, Talmud, Trygvie Lie, U Thant and the Vindicator. 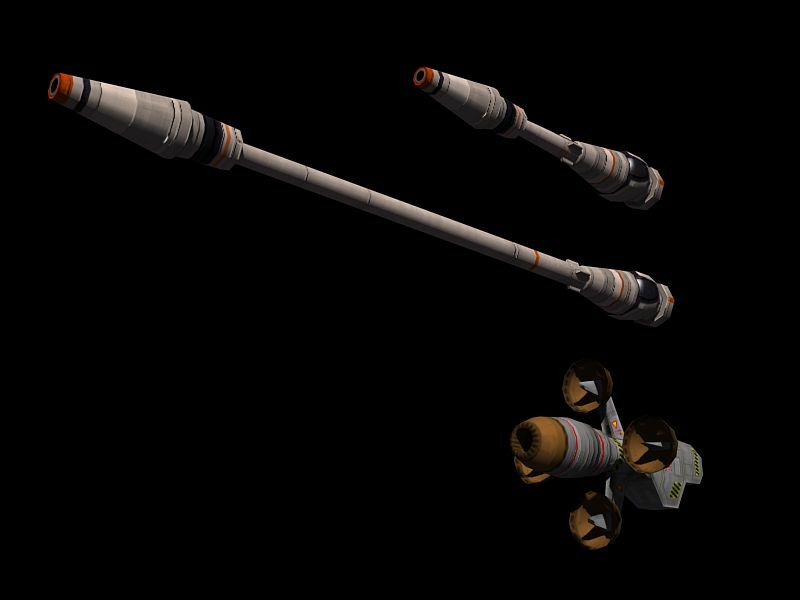 The Exeter's armament consists of six Dual-Mount Laser Batteries, four Single-Mount Laser Turrets, one Triple-Mount Laser Battery and one Spiculum IR Missile Tube. Exeters also boast an 18 ship fighter complement. Gilgamesh-class Destroyer: The Gilgamesh was Wing Commander II's answer to the Exeter. Loyal Gilgamesh-class ships, the Hector and the William Tell, followed the Concordia wherever she went. Gilgamesh-class ships were in service than a lot longer than that, though - in fact, 2nd Lt. Blair's first assignment out of Flight School was a 30-hour stint on the TCS Gilgamesh herself. The Gilgamesh is armed with two Flak Cannons and two Anti-Matter Guns. 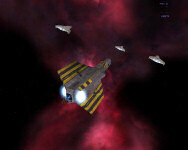 Paradigm-class Destroyer: The Paradigm was the only Confederation capital ship to appear in Wing Commander: Privateer. Commodores Reismann and Uhler both commanded Paradigm groups, and the powerful ships could be found engaging in anti-terrorism, anti-piracy and border defense missions throughout the Gemini Sector. 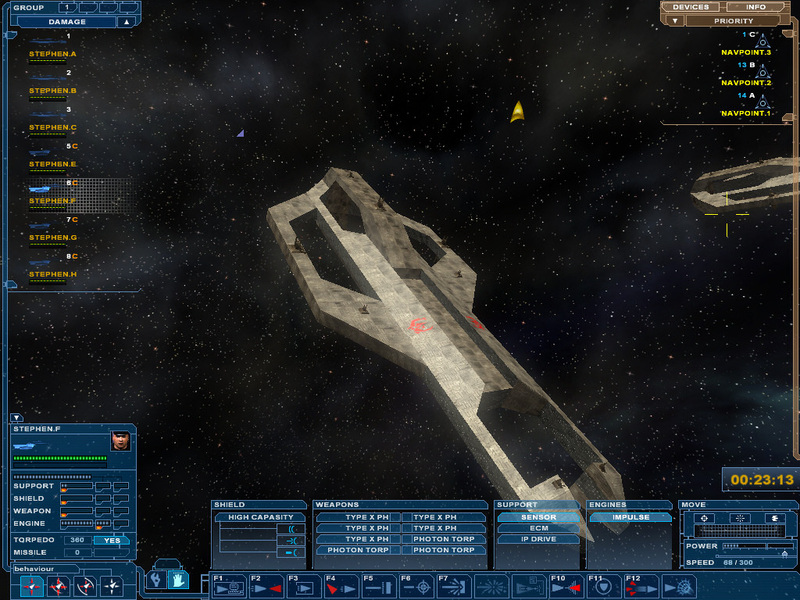 The Paradigm mounts five forward guns: two Meson Blasters, two Tachyon Cannons and an Ionic Pulse Cannon. Earlier models have a Triple-Mount Laser Turret and a Triple-Mount Mass Driver Turret. 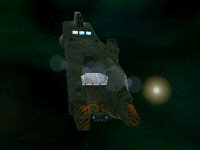 Later versions replace these with a Dual-Particle Cannon, Single-Ionic Pulse Cannon Turret and a Dual-Neutron Gun, Single-Ionic Pulse Cannon Turret. 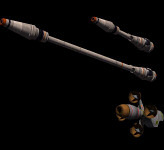 The two versions have different missile loadouts as well. The initial Paradigms carried ten Dart DFs, two Spiculum IRs and a Javelin HS. 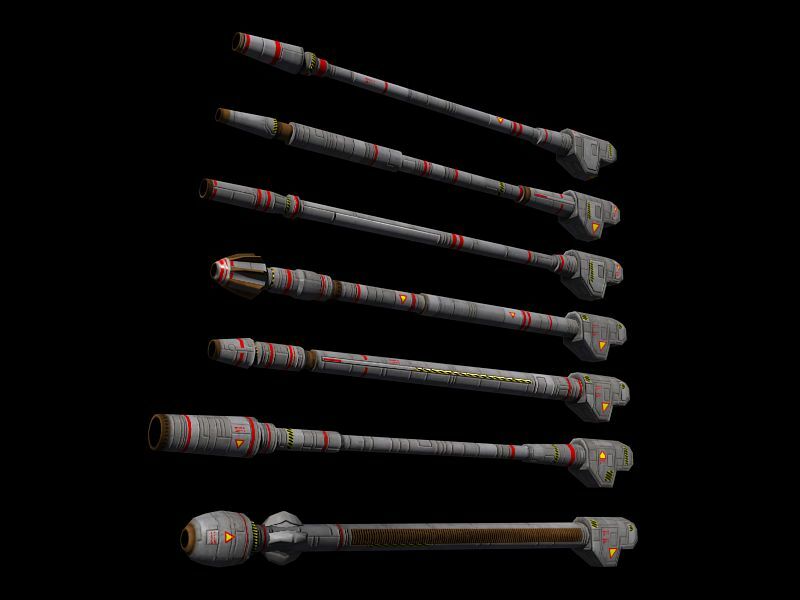 Later models double the Javelin HS loadout and replace the Darts with eight Pilum FoFs. The TCS Paradigm herself appears in an Origin FX screensaver model, the appropriately titled TCS Paradigm. 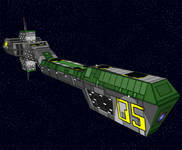 That same ship was the Confederation's flagship in 2664! Coventry-type Destroyer/Minelayer: The Coventry-type may not have an official name... but it's certainly one of the most popular destroyers, owing to its appearance in Wing Commander III and Wing Commander IV! Two of the Victory's escorts, the TCS Sheffield and the TCS Coventry, were of this class. The class predates the war itself... but a design upgrade at some point added the capacity to carry a half-squadron of medium fighters (in fact, we know the name isn't Coventry-class specifically because the Coventry is newer than the Sheffield). Coventry-type ships mount nine gun turrets: nine dual-mount laser turrets or eight dual mount laser turrets and one dual-mount antimatter gun. They are also modified for use as minelayers and frigates. 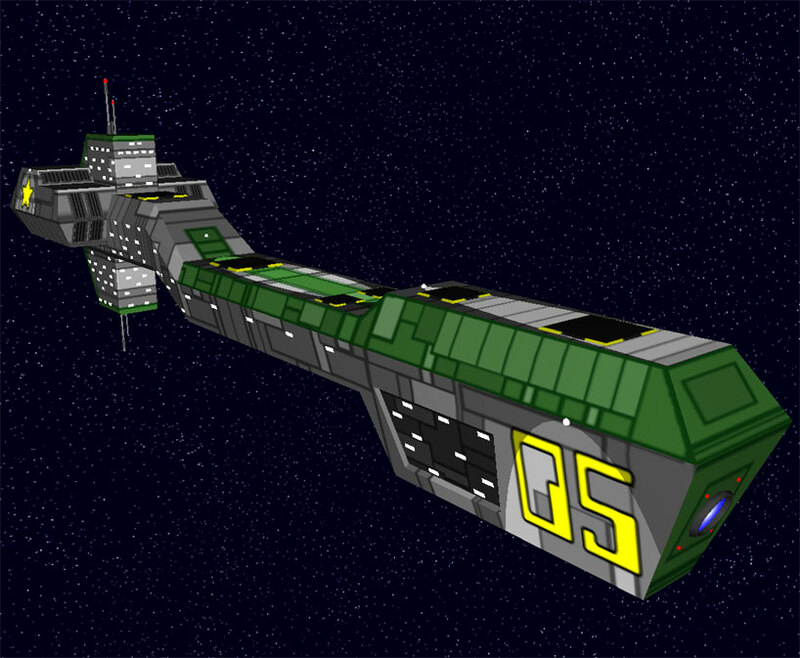 Durango-class Heavy Destroyer: The Confederation retired the Durango-class in 2663... but the Border Worlds didn't -- the famous BWS Intrepid began its life as the TCS Delphi! 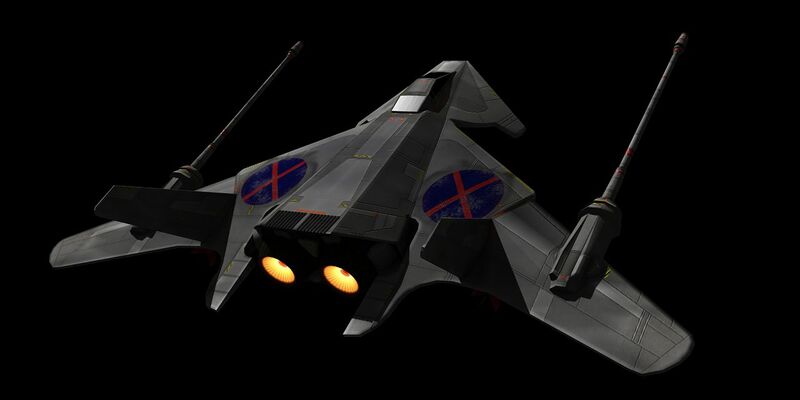 The Durango is a heavy favorite in this poll specifically because it's the one destroyer Wing Commander fans are intimately familiar with... having served off of one throughout most of Wing Commander IV. Durango-class ships carry eight dual laser turrets and several torpedo tubes. Murphy-class Destroyer: The Murphy-class, on the other hand, is shiny and new. 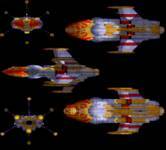 These destroyers are a post-war design which premiered in Wing Commander: Secret Ops. Notable Murphy-class ships include the Arkhangelsk, Foehammer, Kuznetsova and Leonov. The Murphy-class carries three dual mount heavy lasers, four single mount heavy lasers, two dual mount missile turrets, eight starfighters and a central Mk. 4 heavy plasma cannon. The Coventry-type Destroyer may well be older than the ships that appeared before it: the Gilgamesh and Exeter-classes... but when we see them they have modern paint schemes -- similar to the newly produced Vesuvius-class. 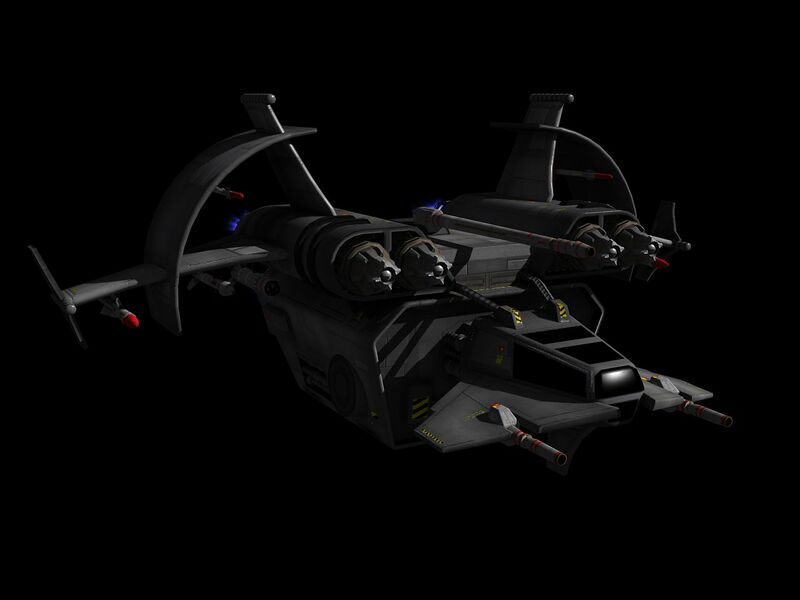 So, naturally, one wonders: what might the Coventry-class look like during Wing Commander 2 (circa 2665)? Well, Marc has an answer... and it certainly impresses me!